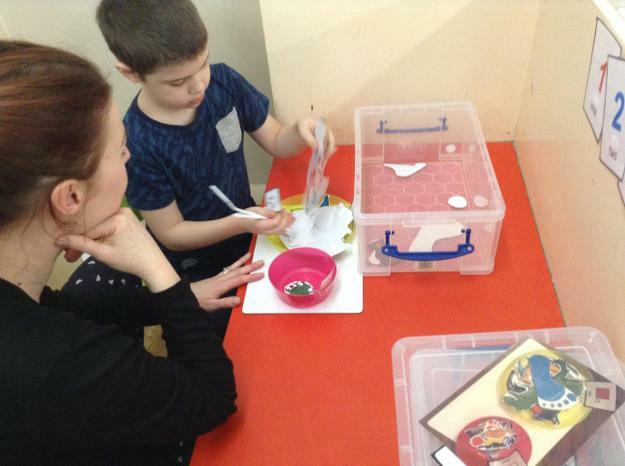 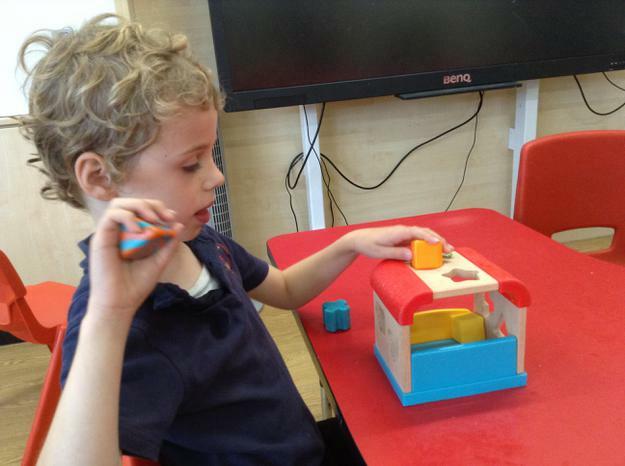 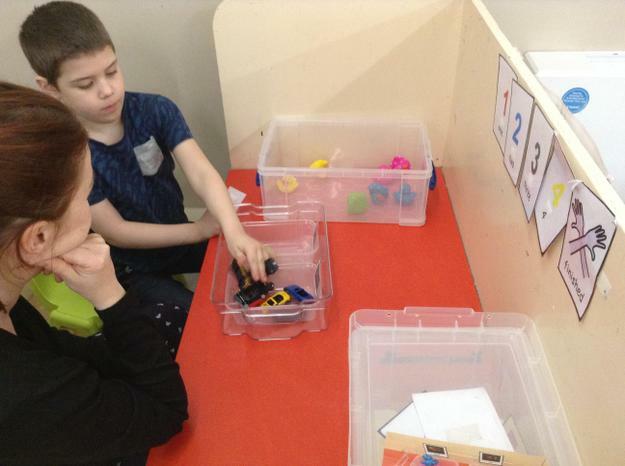 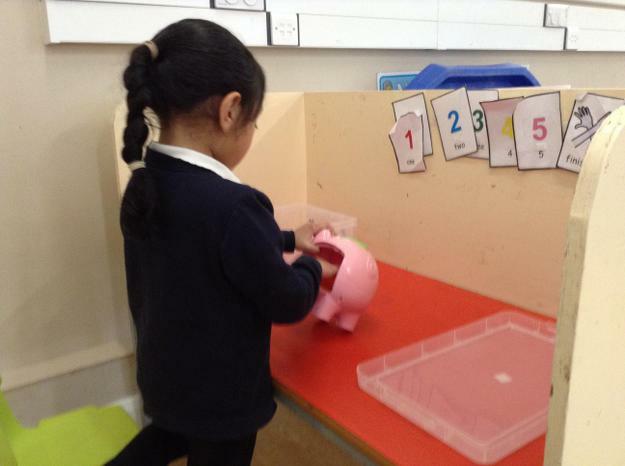 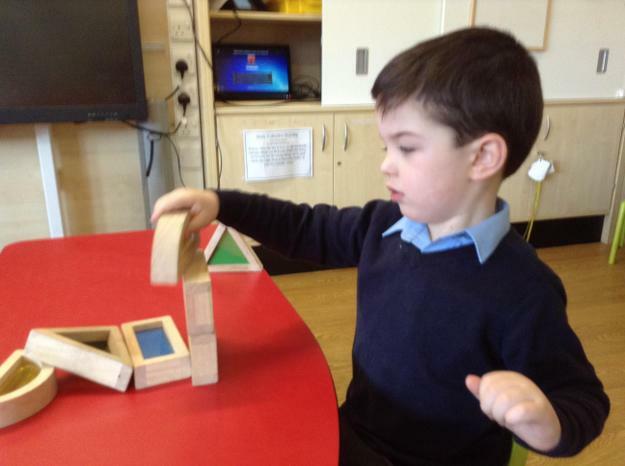 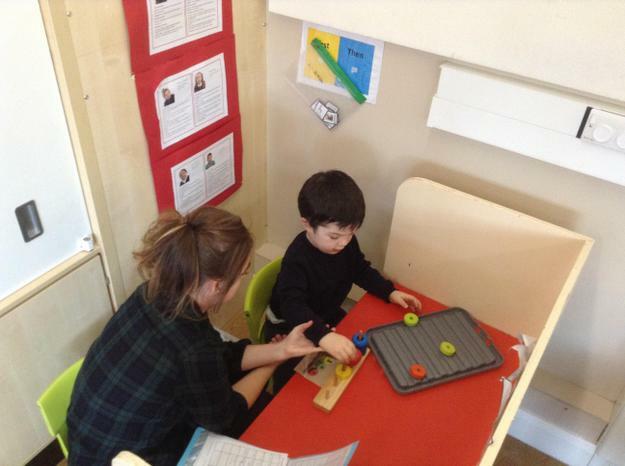 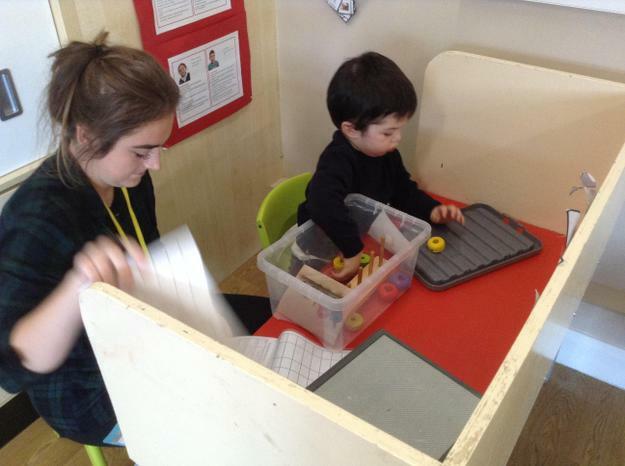 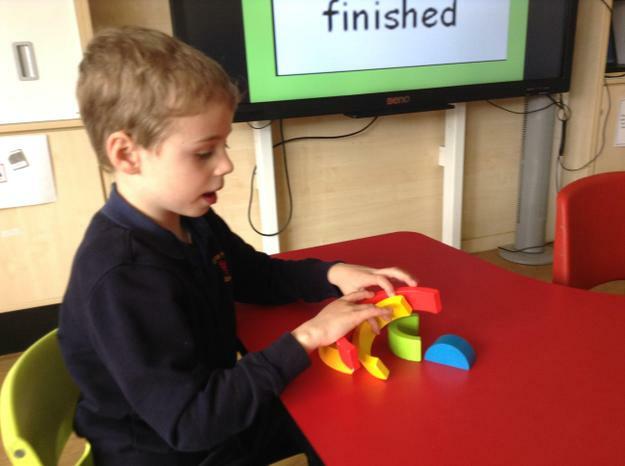 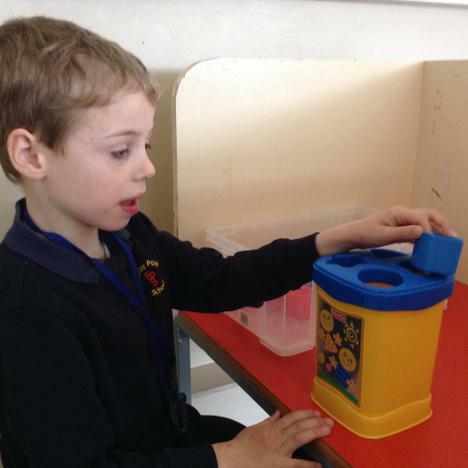 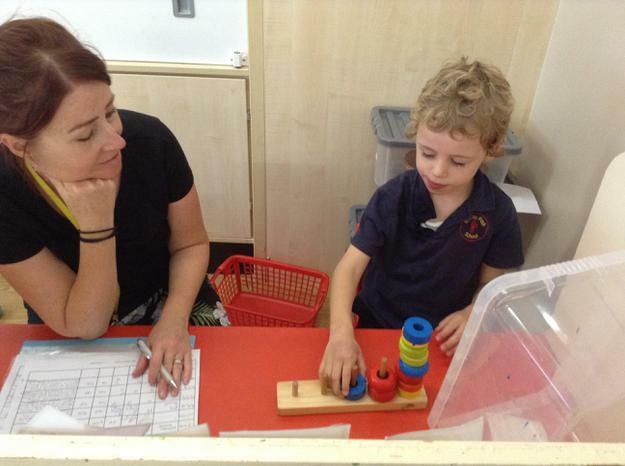 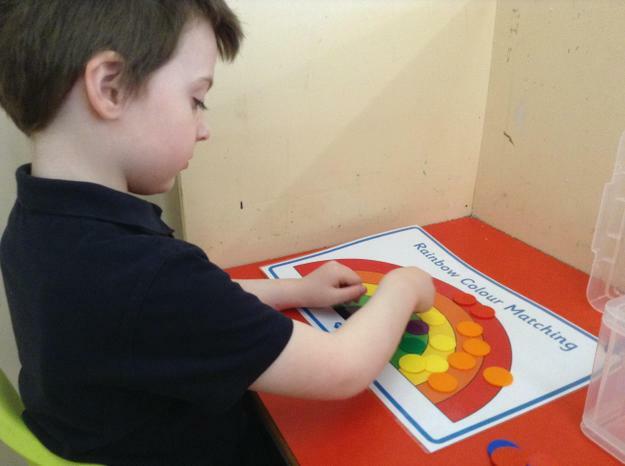 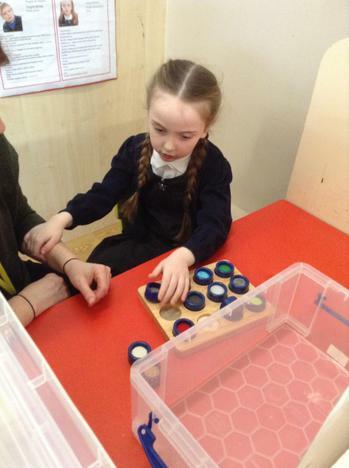 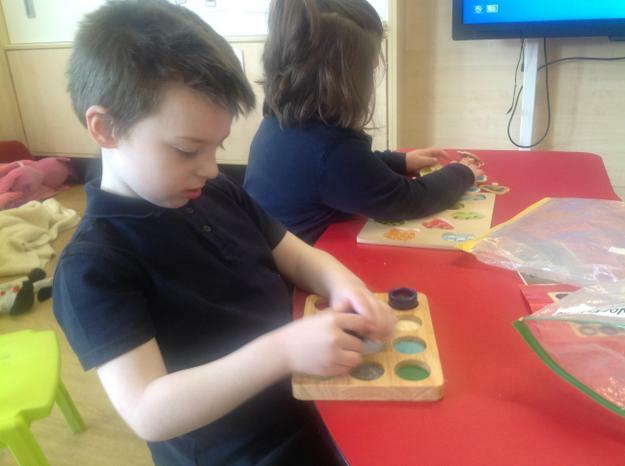 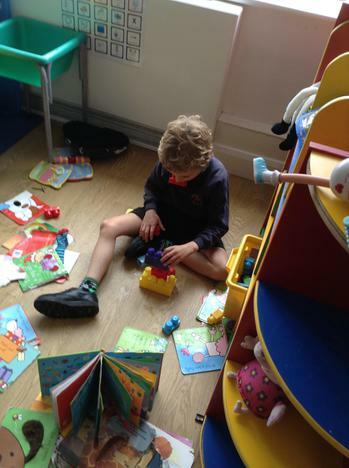 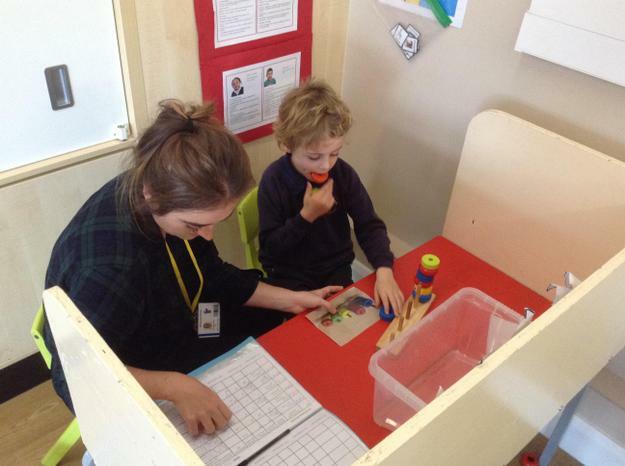 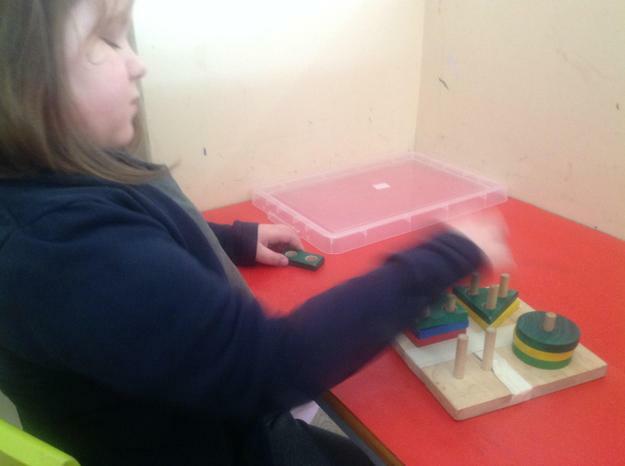 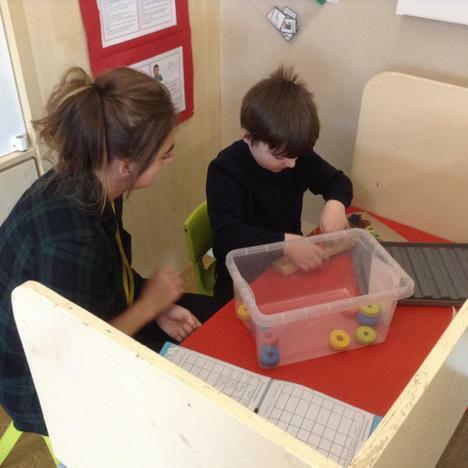 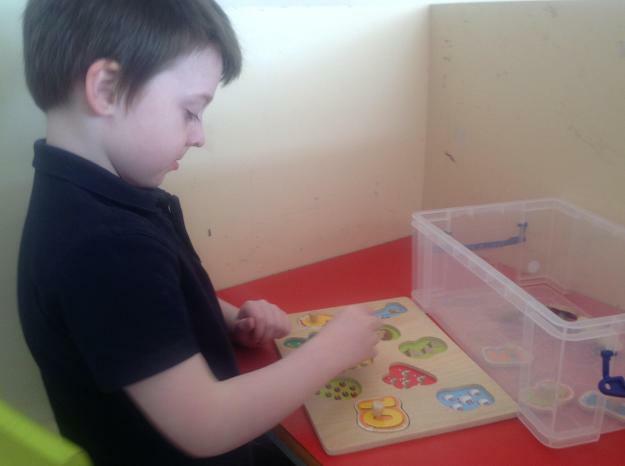 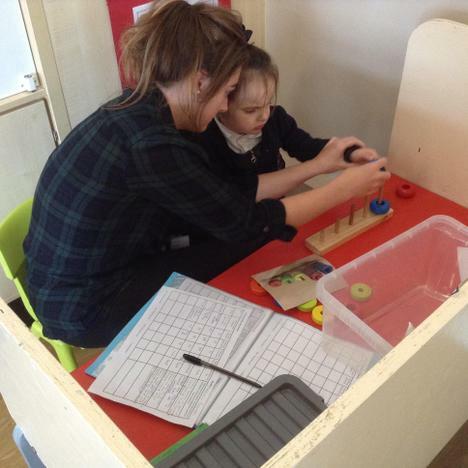 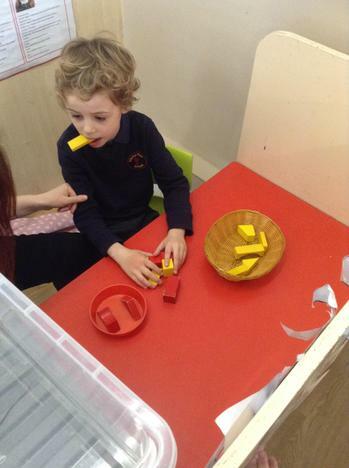 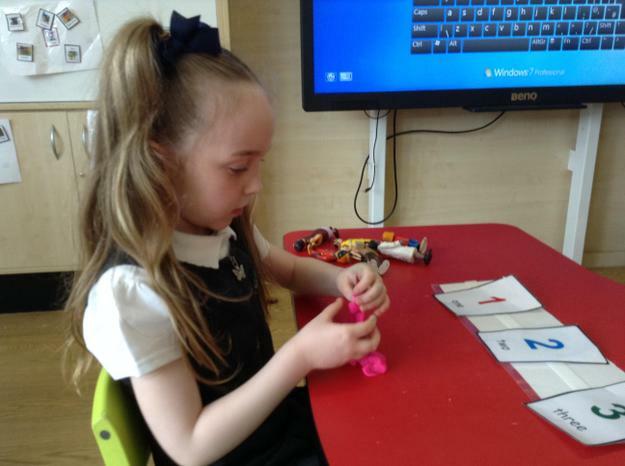 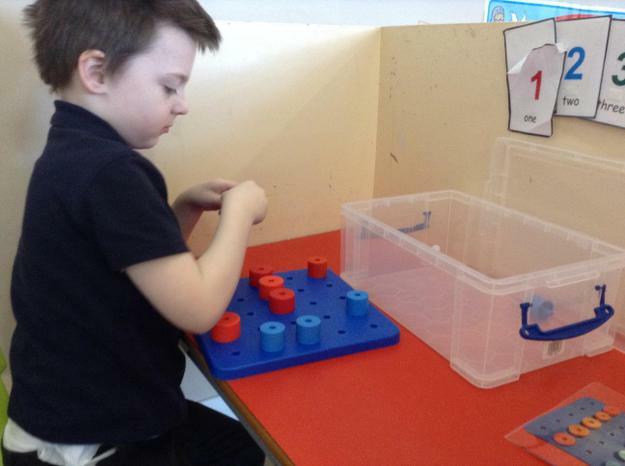 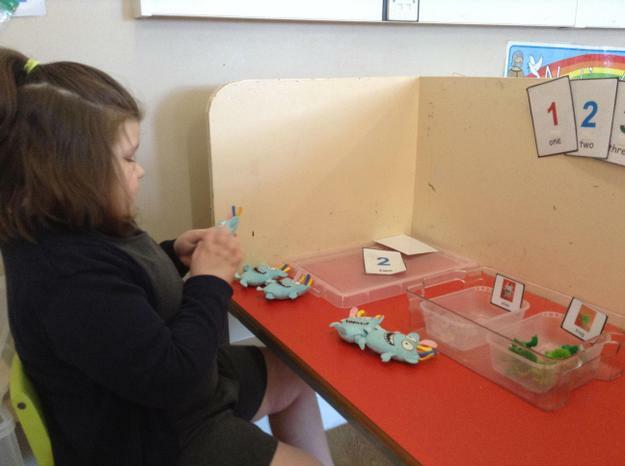 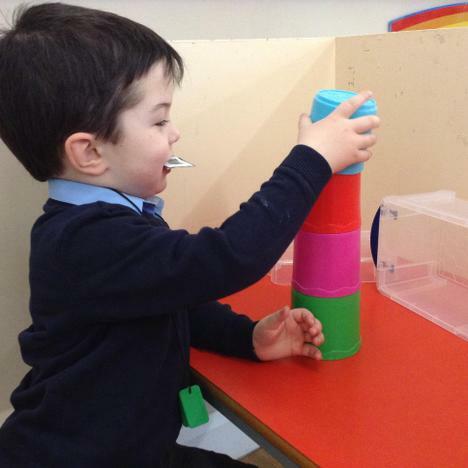 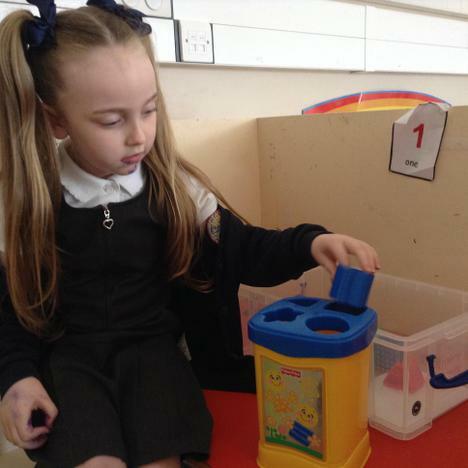 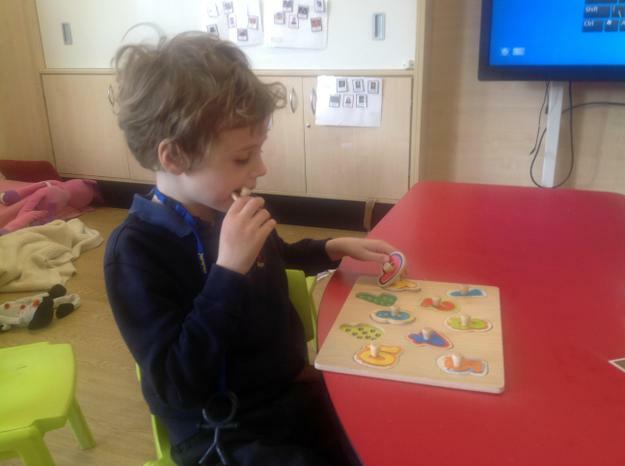 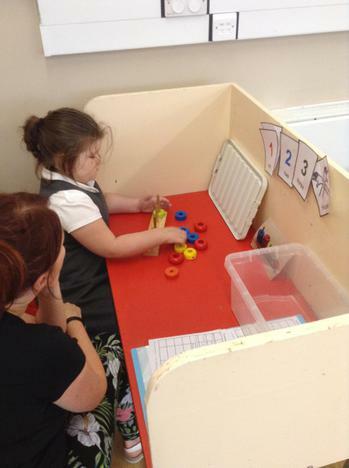 The children have continued to build upon the mathematical skills developed during the first part of the Spring term and all of them are now able to complete at least one workstation task with some independence. 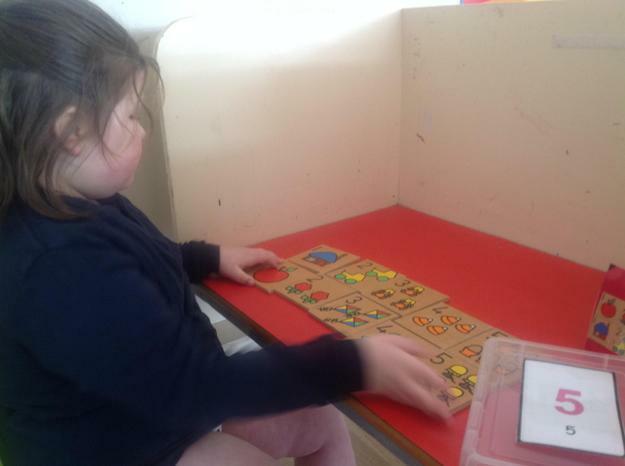 Many of the children are now completing multiple boxes. 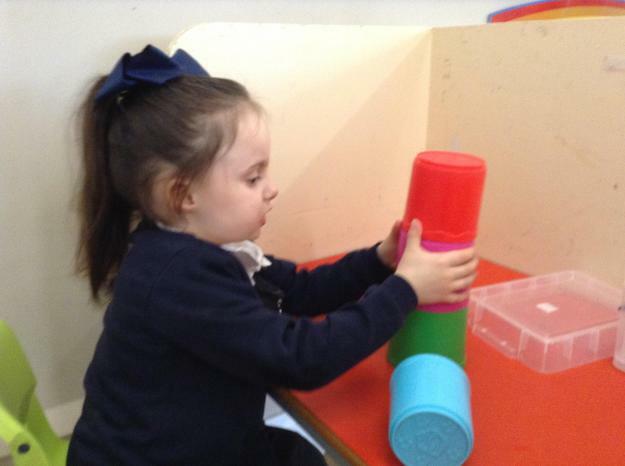 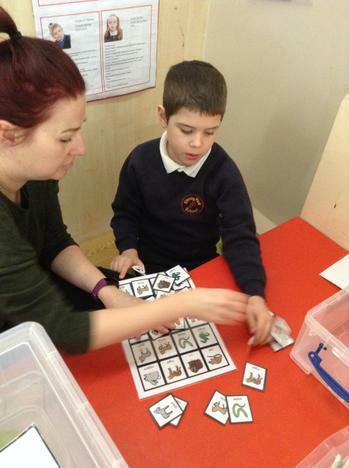 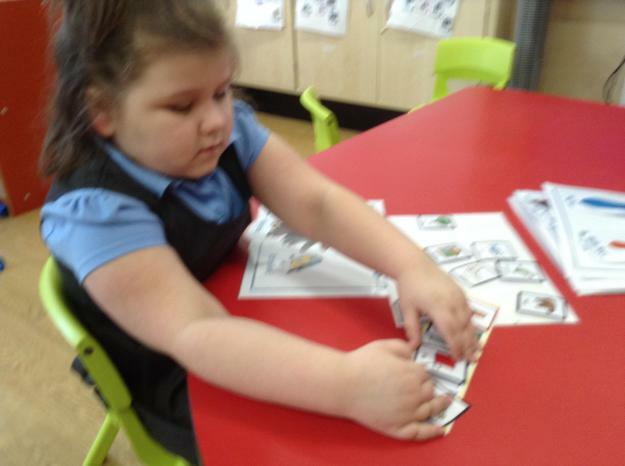 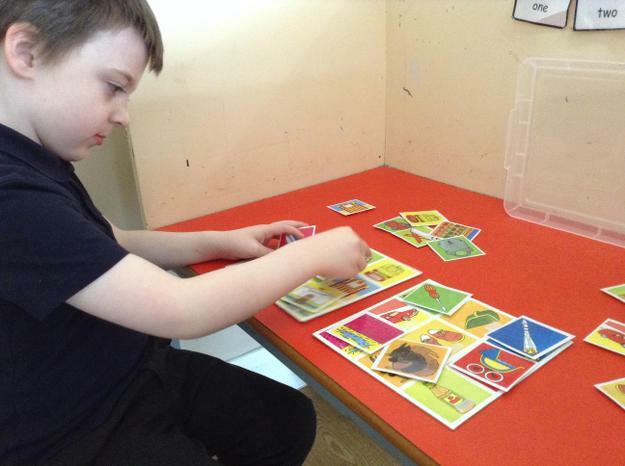 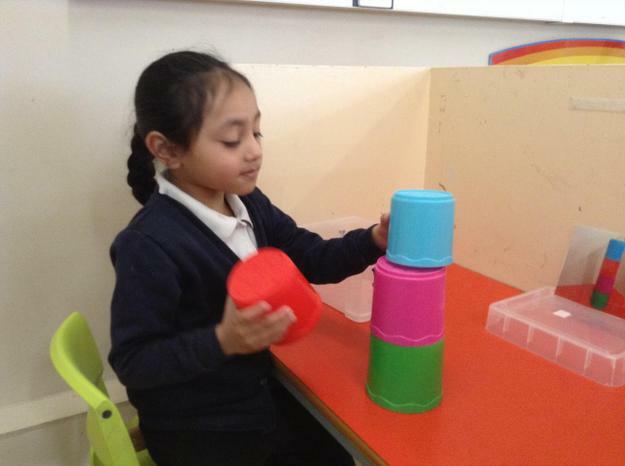 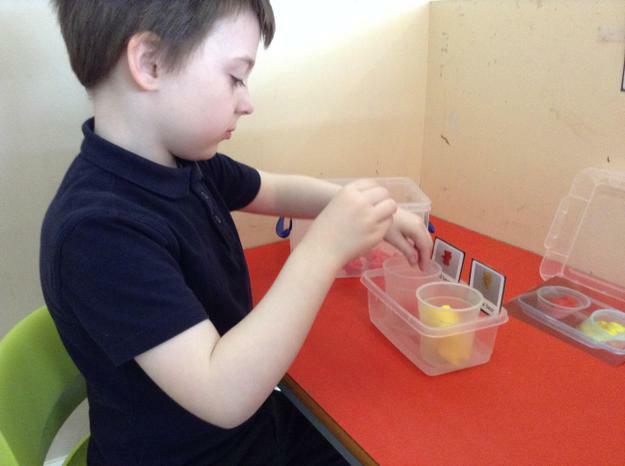 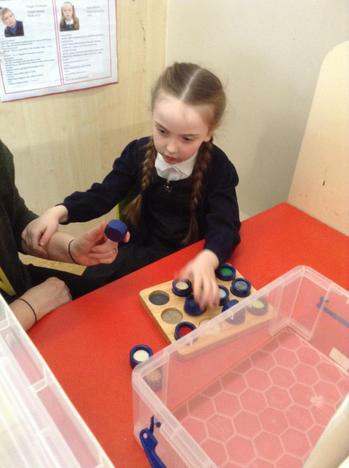 Lots of the activities this term have been focused on sorting, stacking and copying patterns. 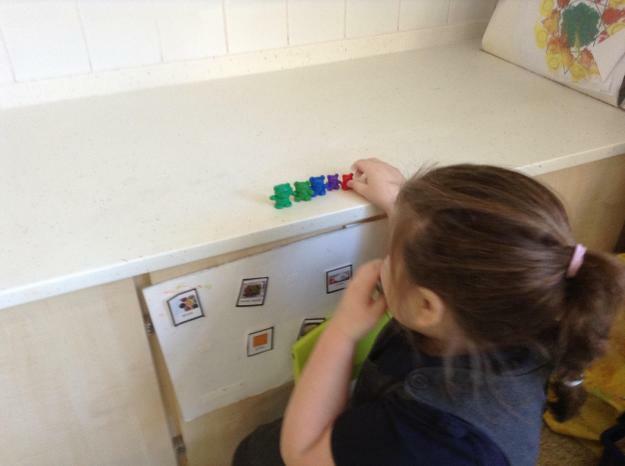 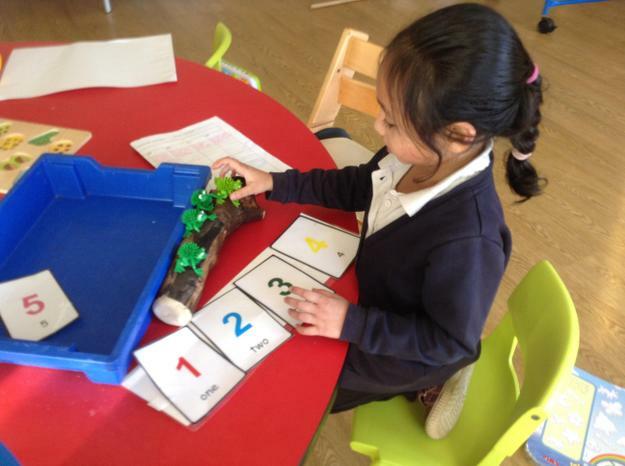 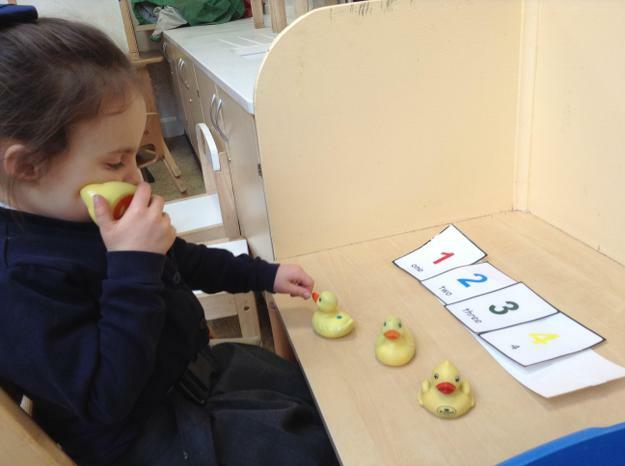 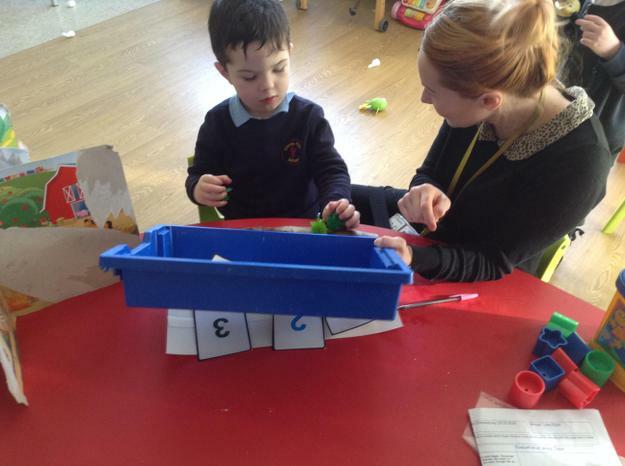 The children also enjoy individual sensory number rhymes and all are able to follow the counting sequence and remove the numeral/prop at the right time. 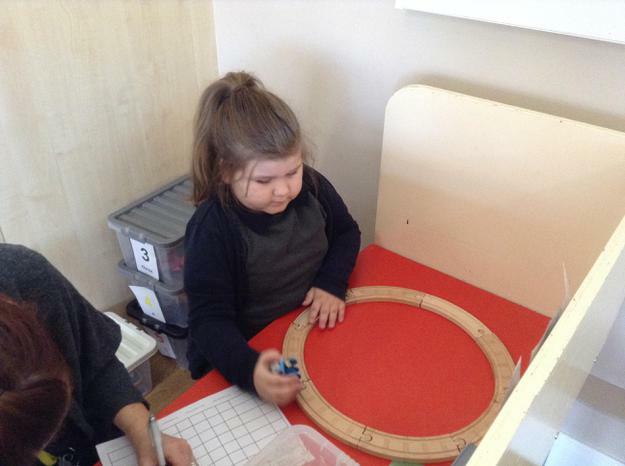 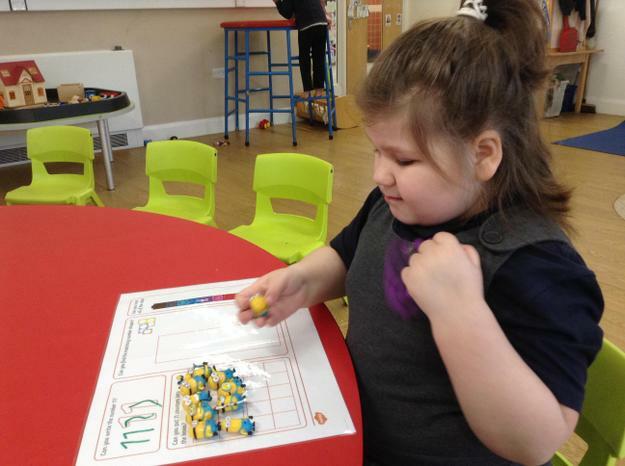 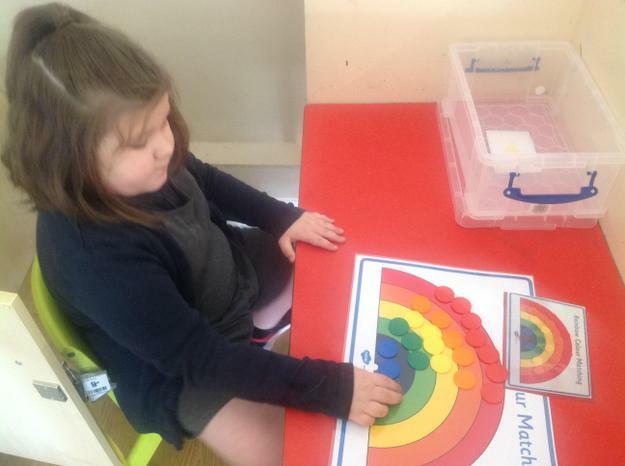 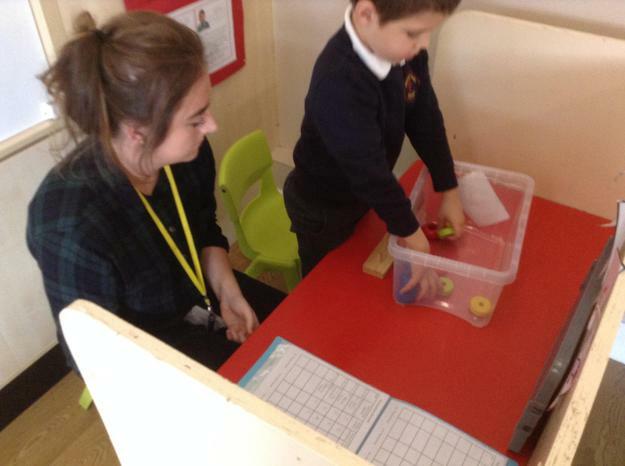 The children have continued to make really good progress during their maths activities and all have become familiar with the routine of the workstation and are becoming more independent during these tasks. 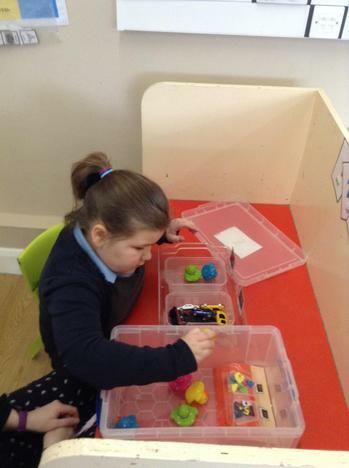 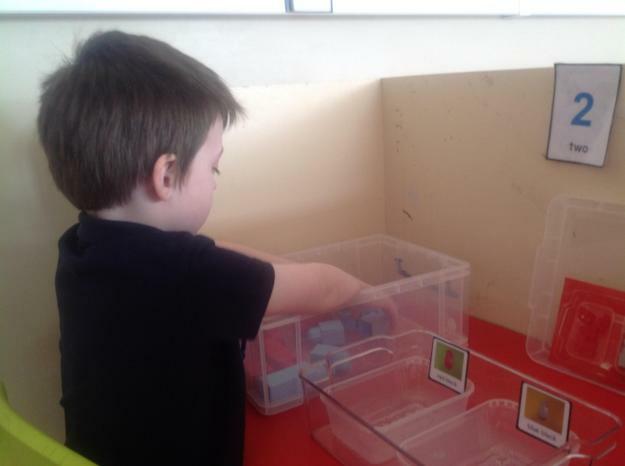 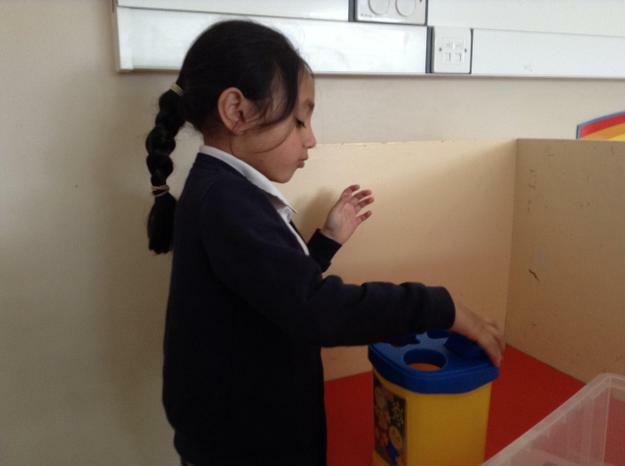 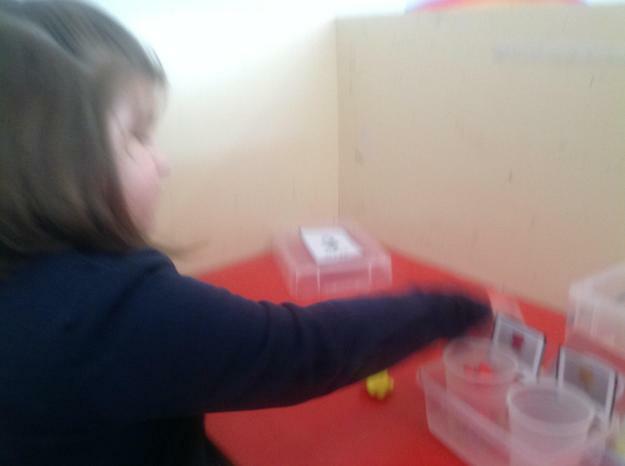 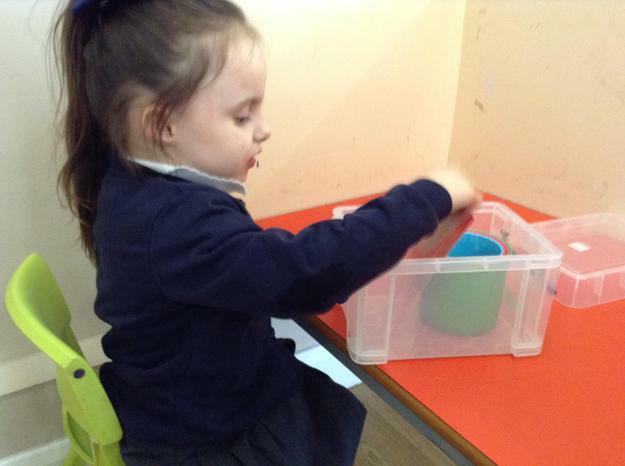 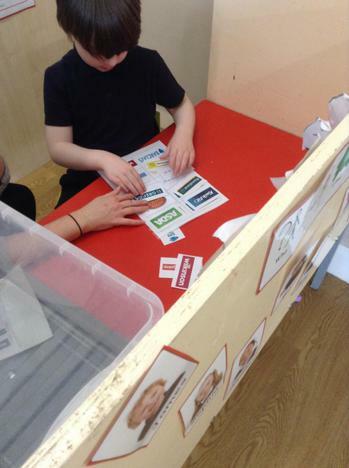 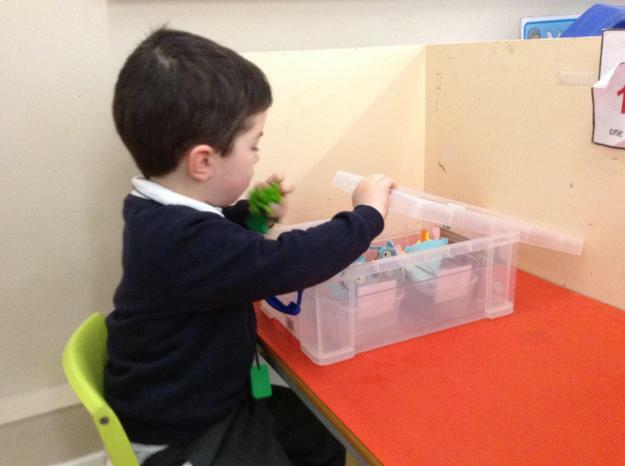 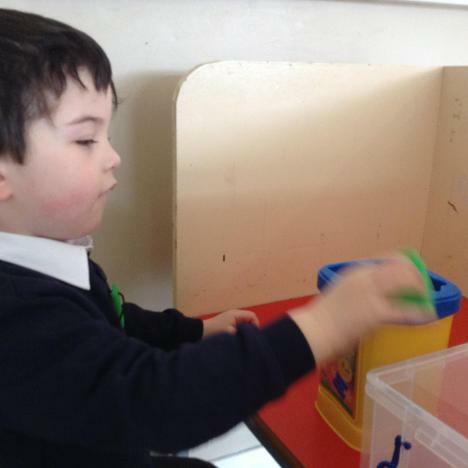 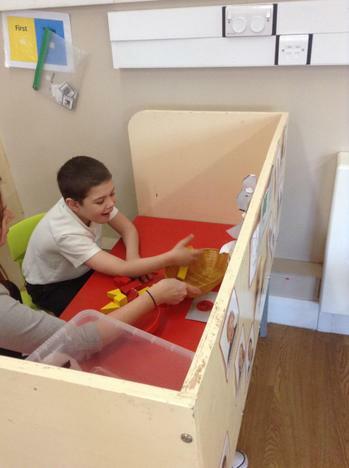 The children have been developing their fine motor skills by completing 'put in' activities which involve posting objects through a box. 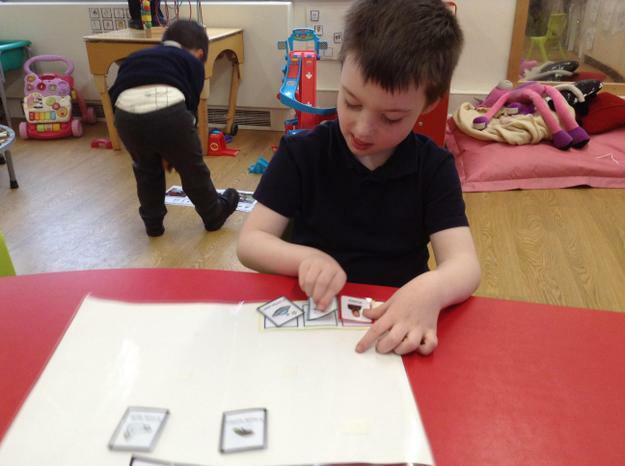 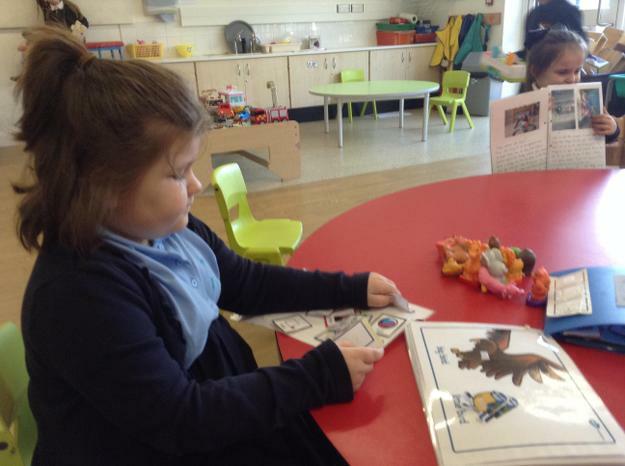 Some of the children have also been working on sorting and matching activities and copying simple patterns using pictures and objects. 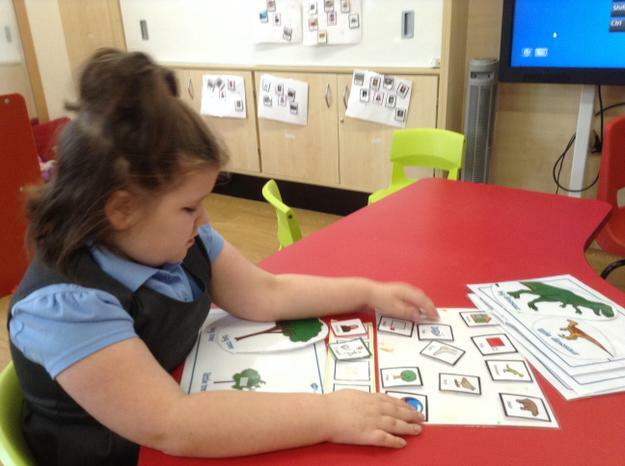 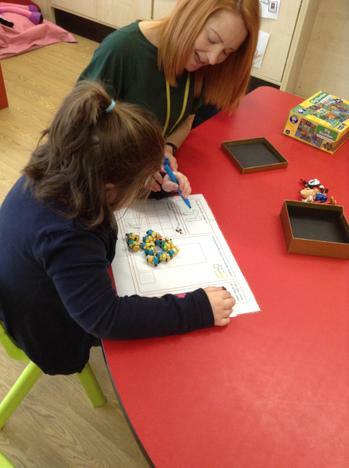 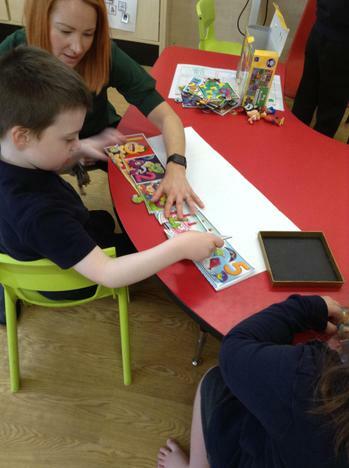 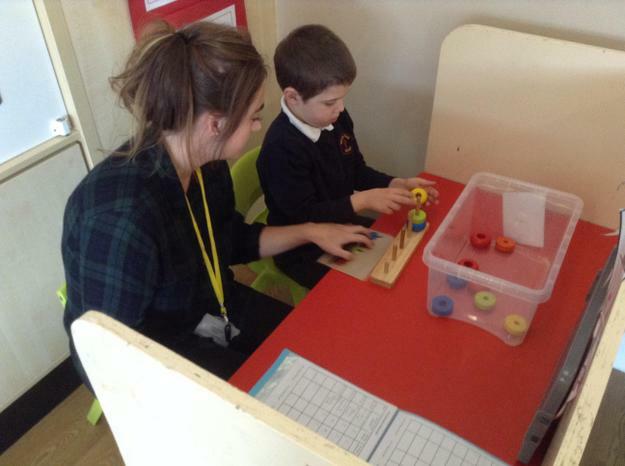 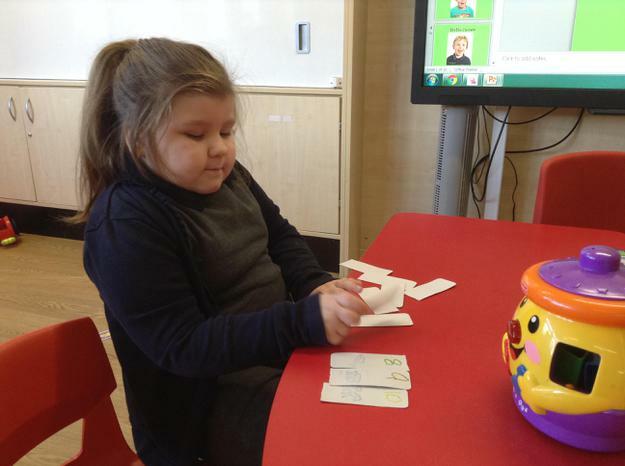 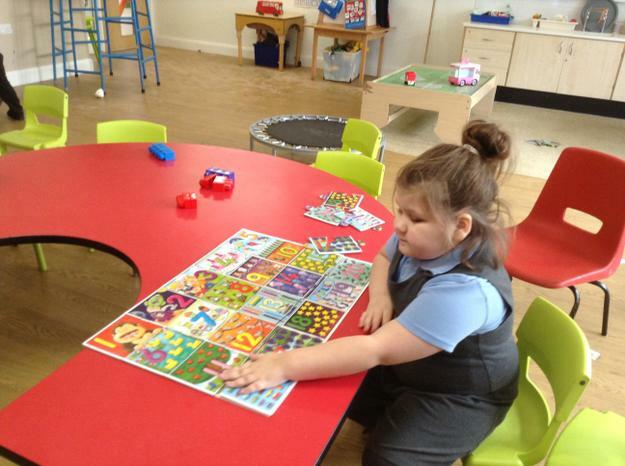 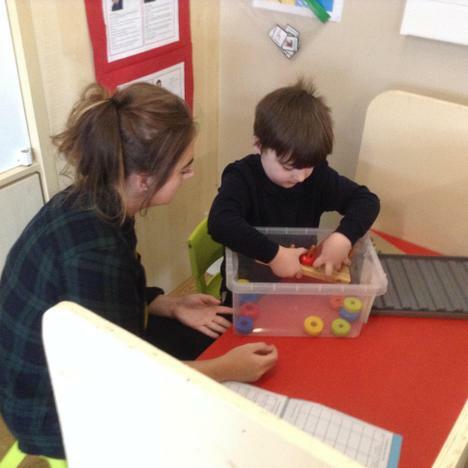 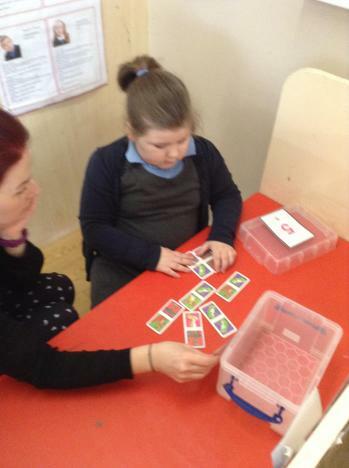 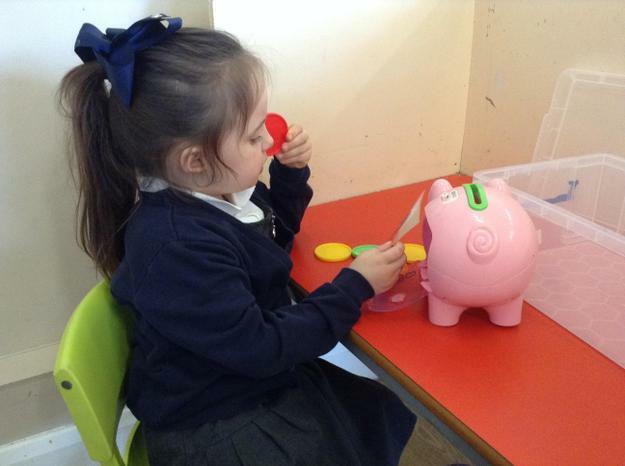 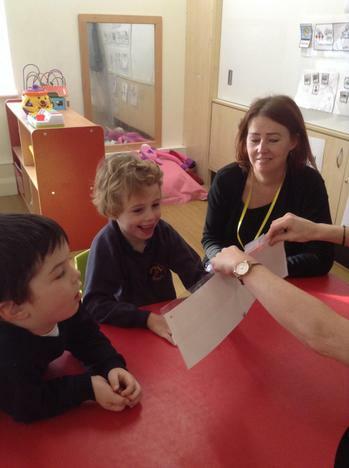 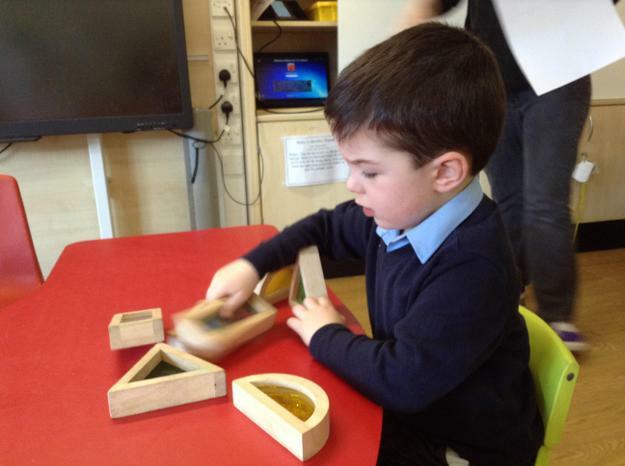 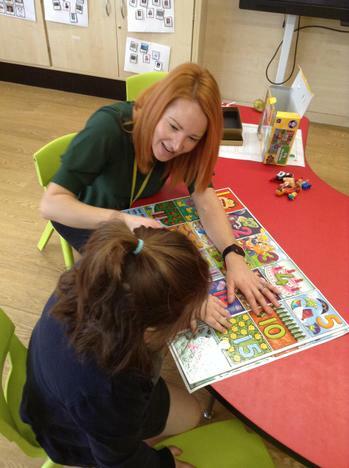 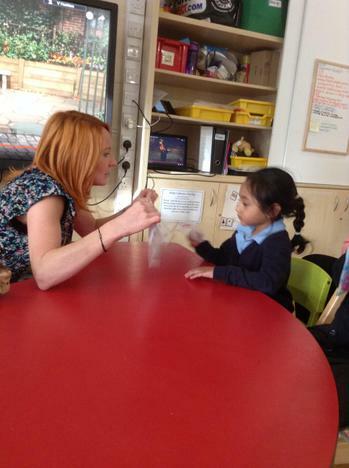 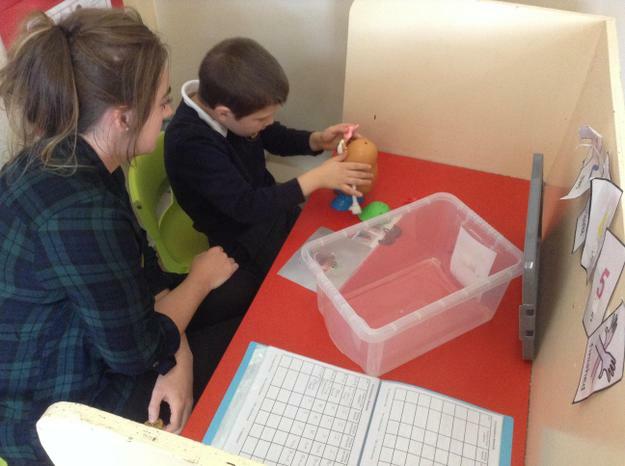 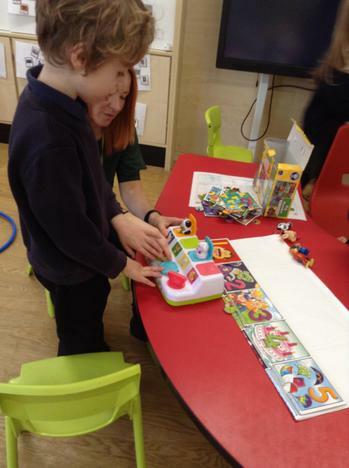 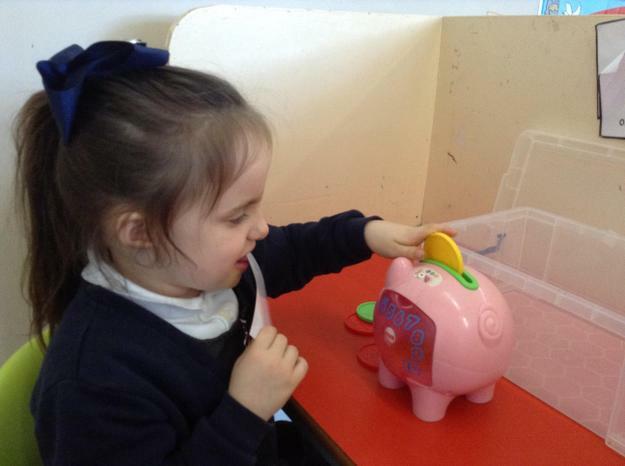 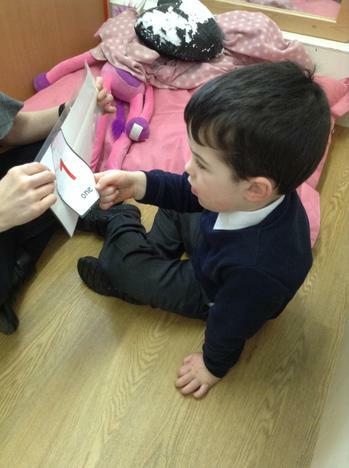 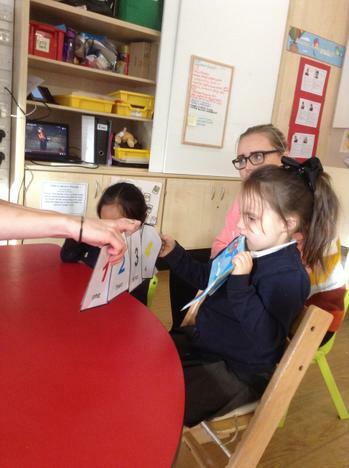 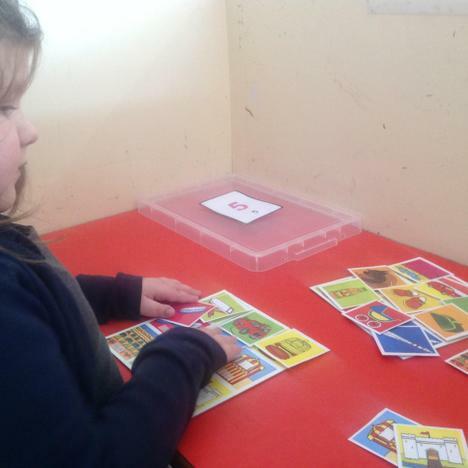 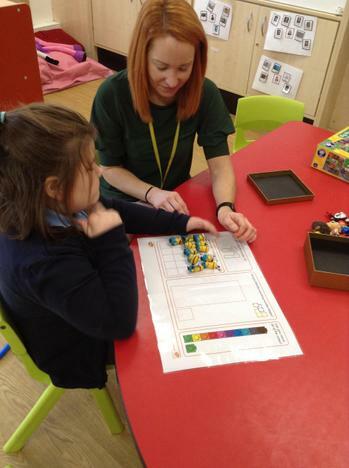 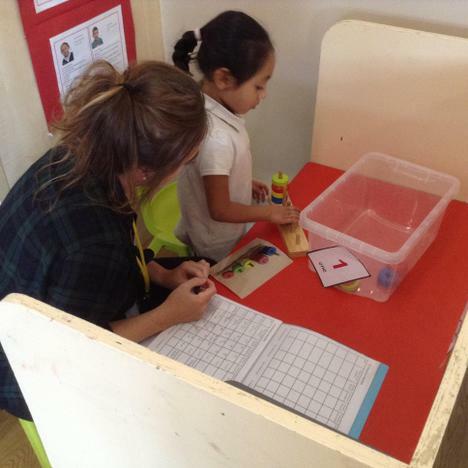 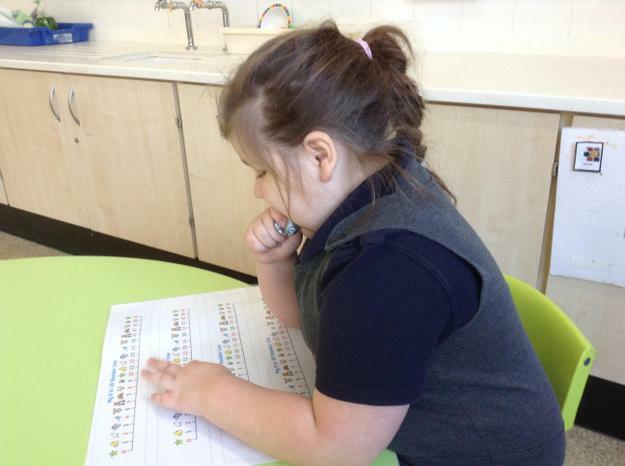 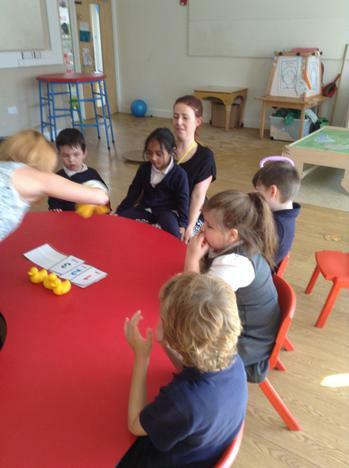 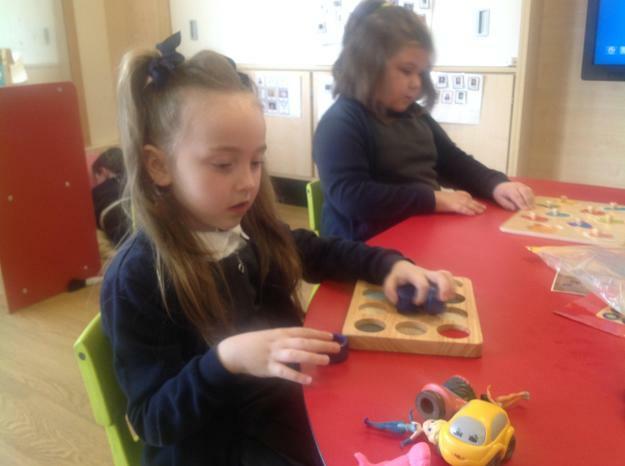 The children follow the little big maths programme which has a focus on developing understanding of amounts and numbers. 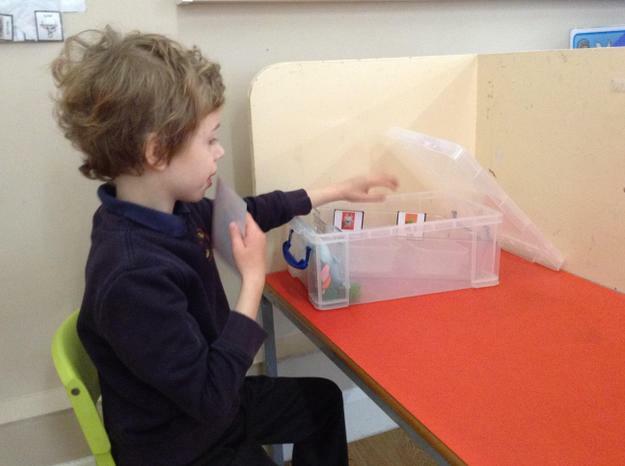 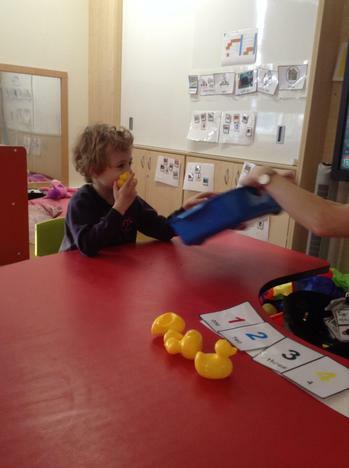 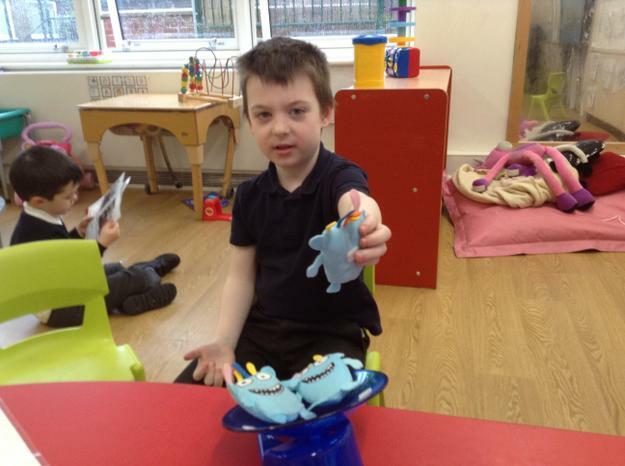 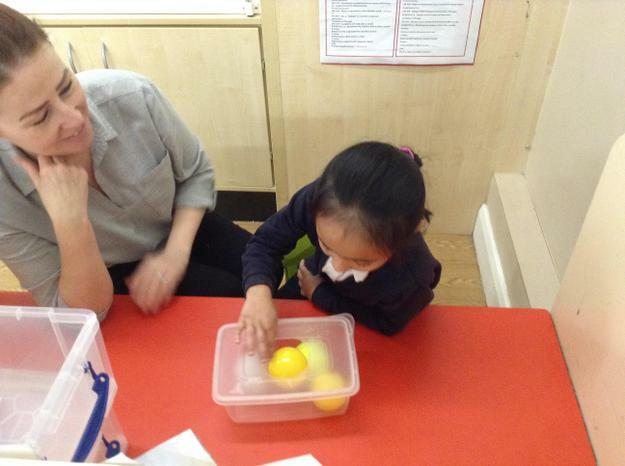 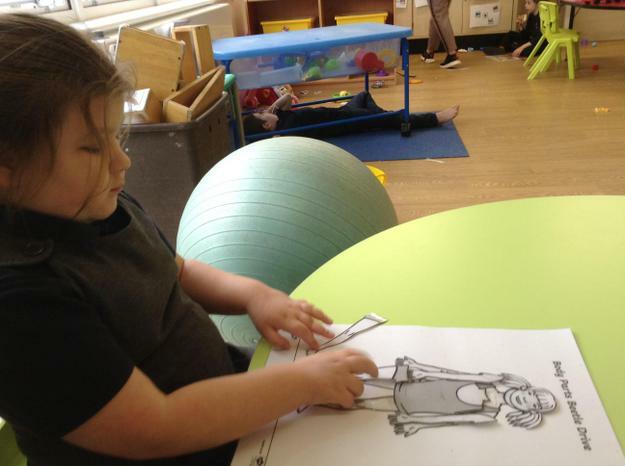 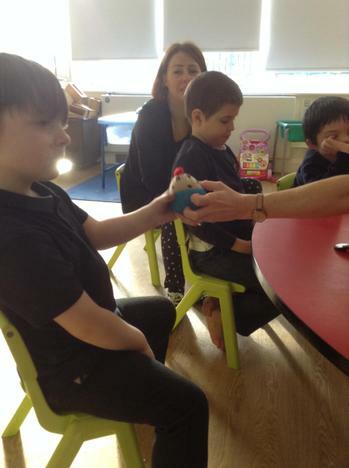 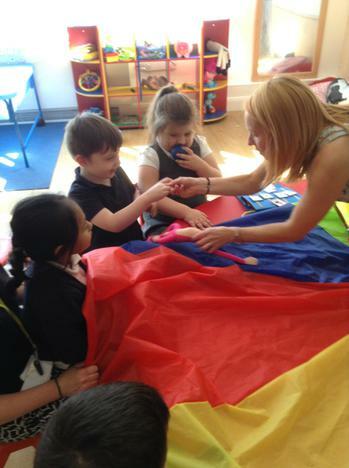 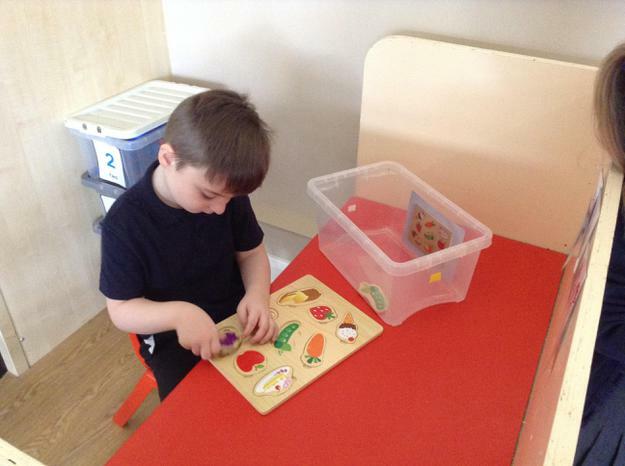 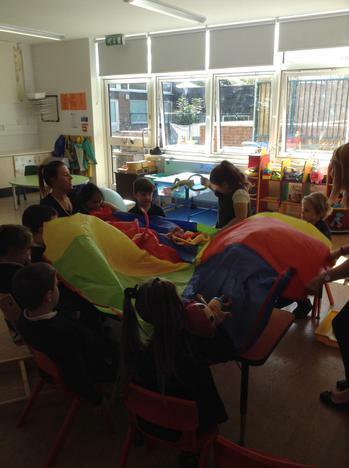 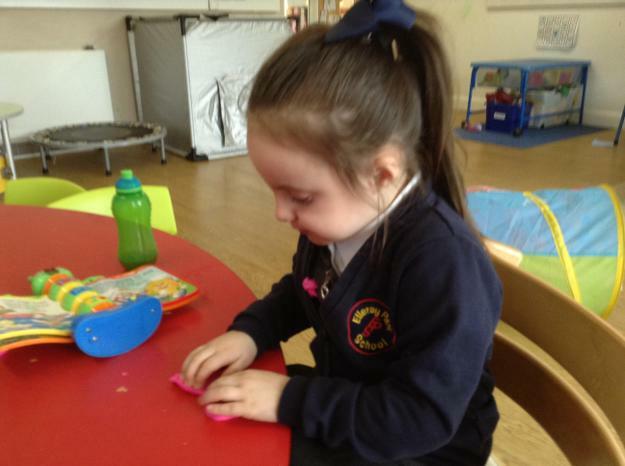 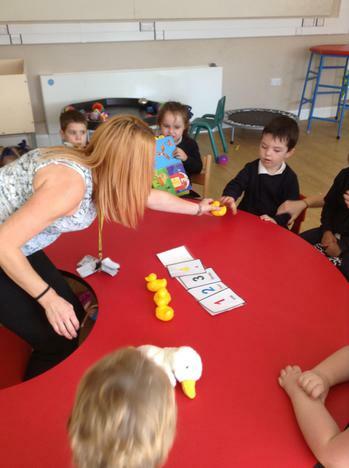 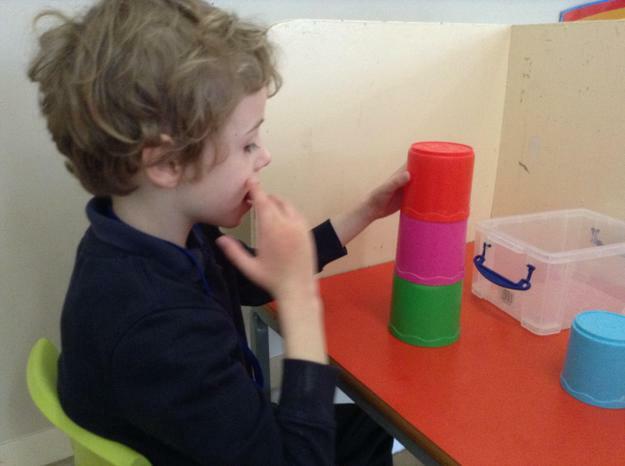 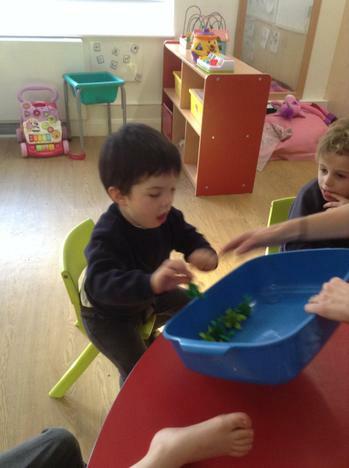 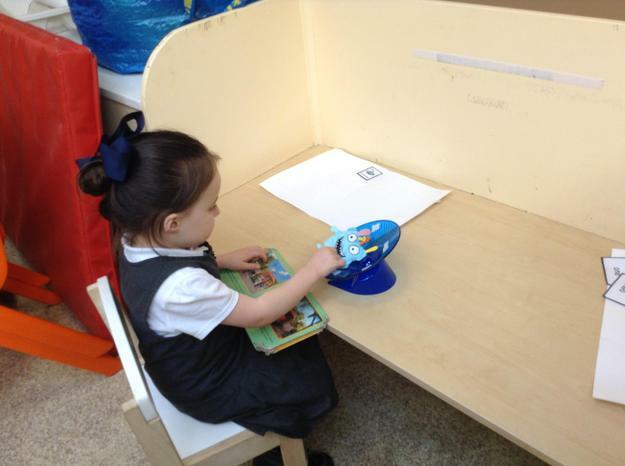 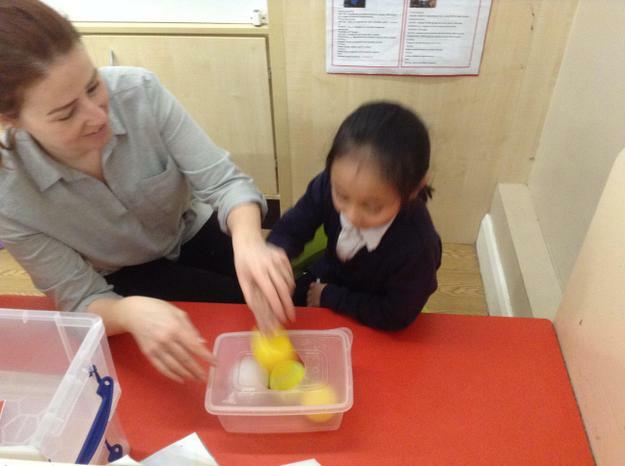 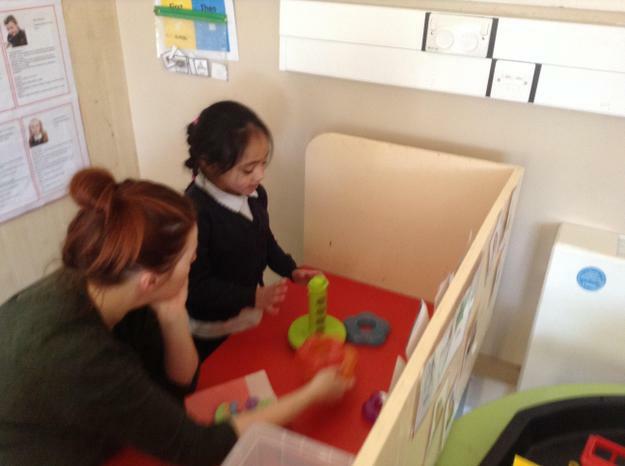 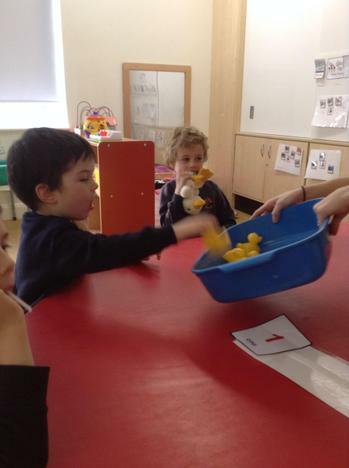 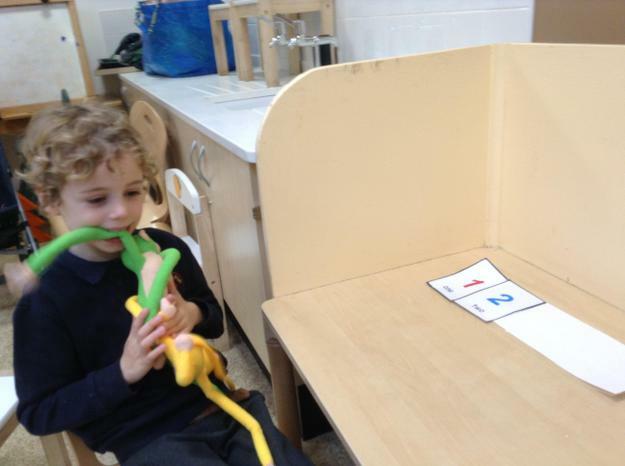 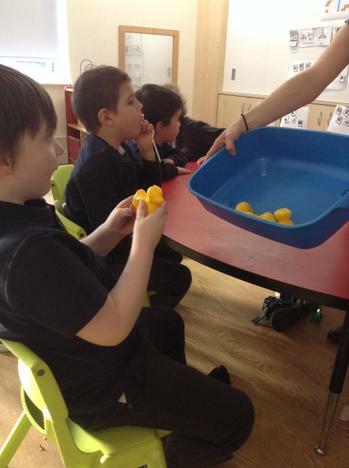 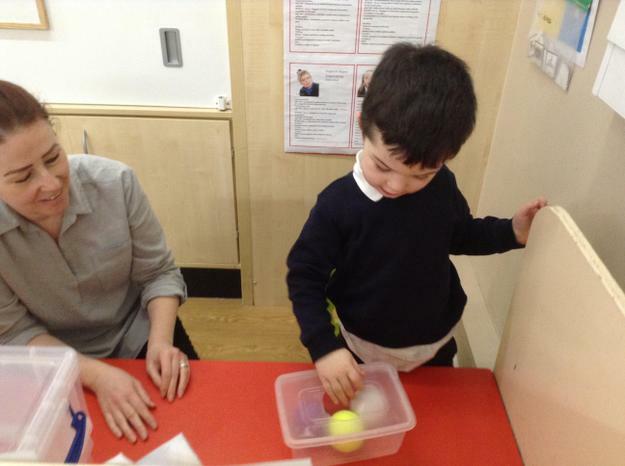 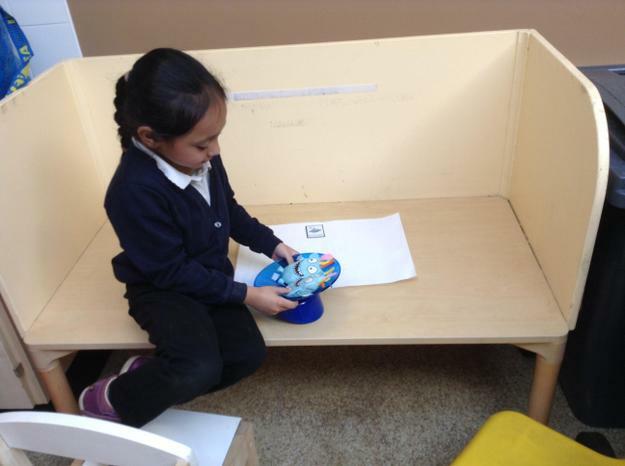 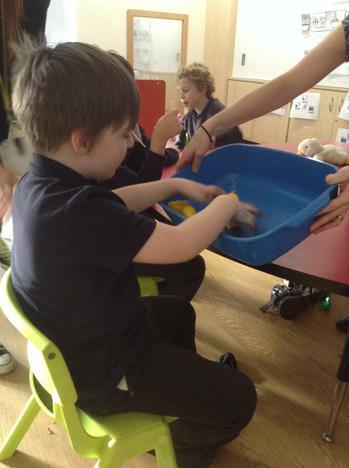 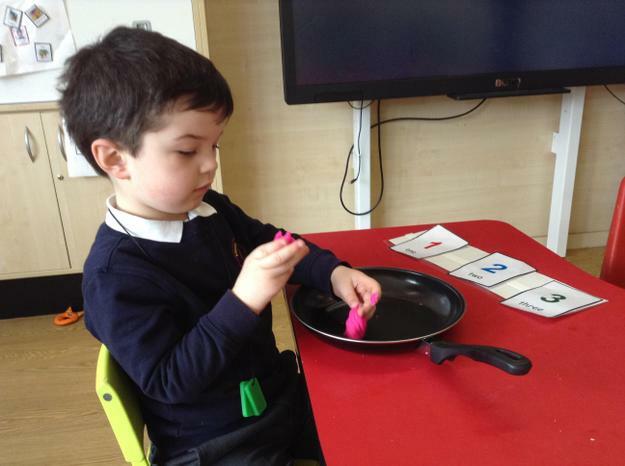 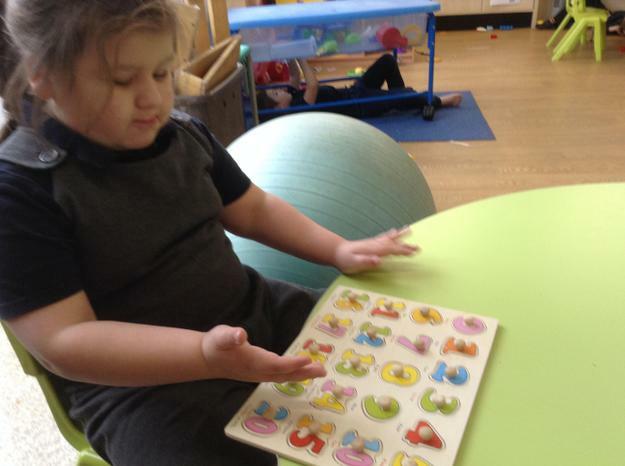 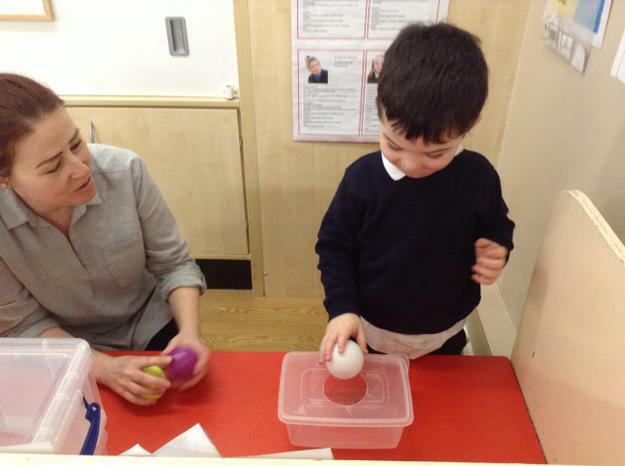 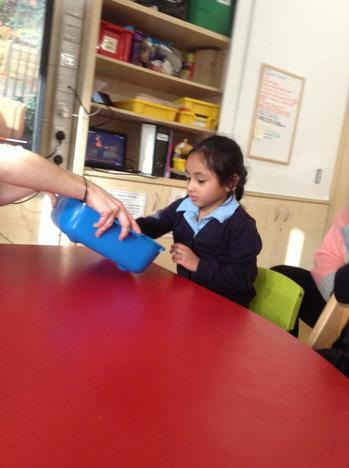 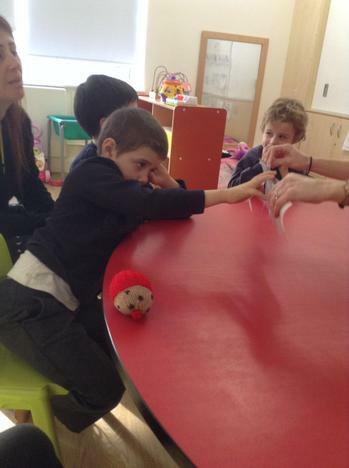 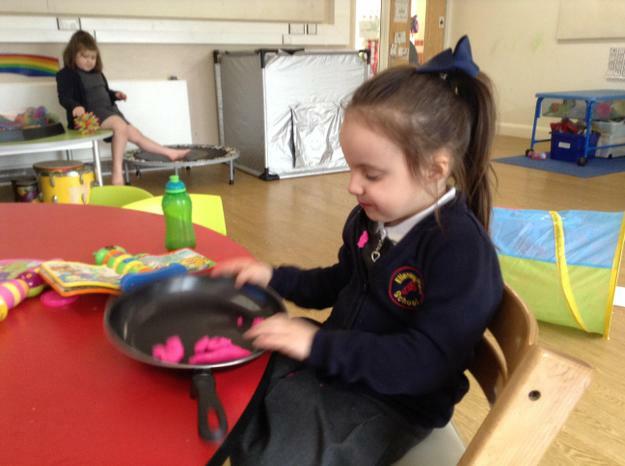 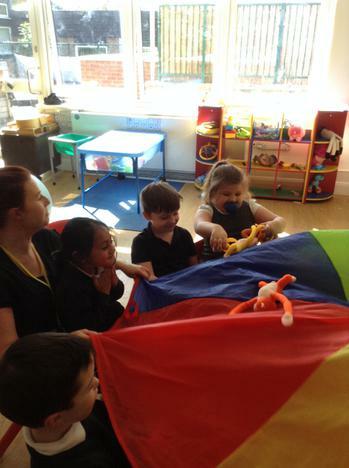 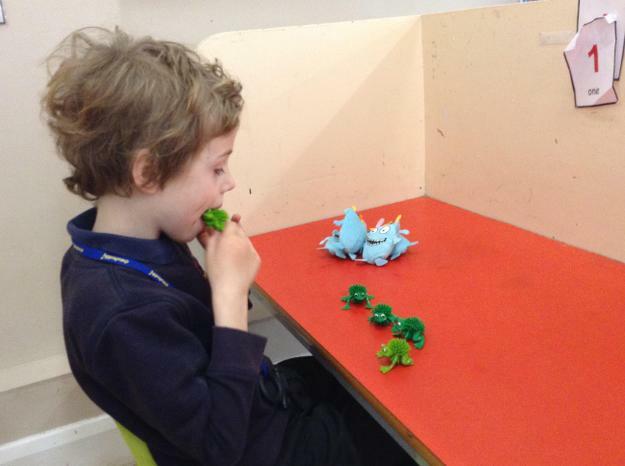 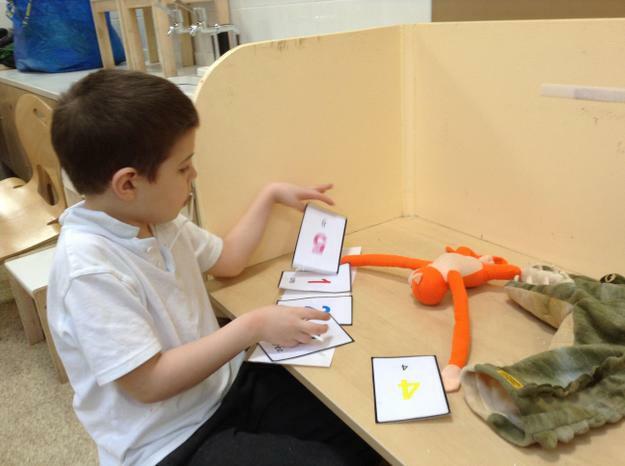 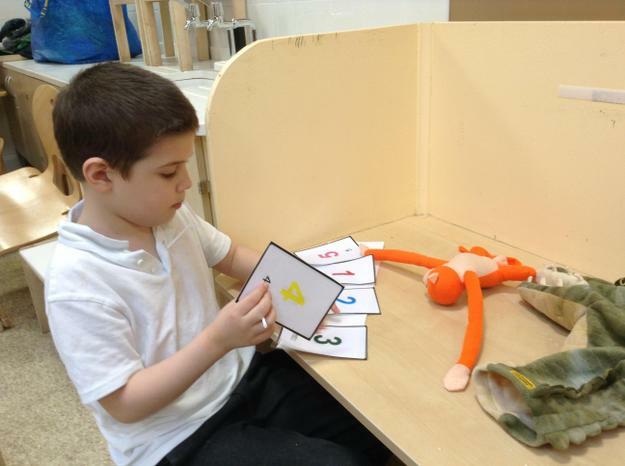 We do this through play activities with familiar objects and through individual sensory number rhymes. 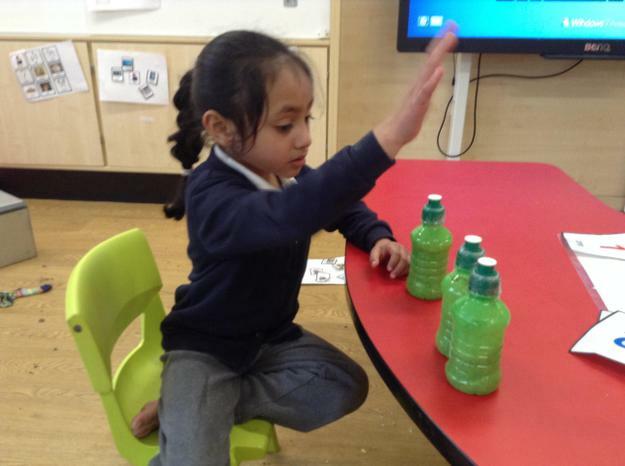 The children have responded well to this approach and many are starting to join in with the sequence of counting through the rhymes. 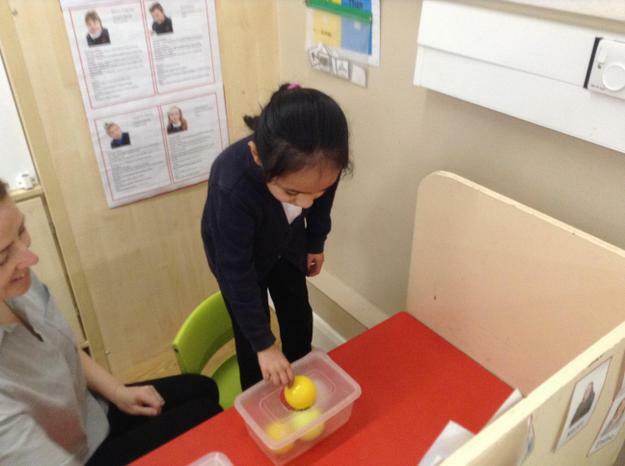 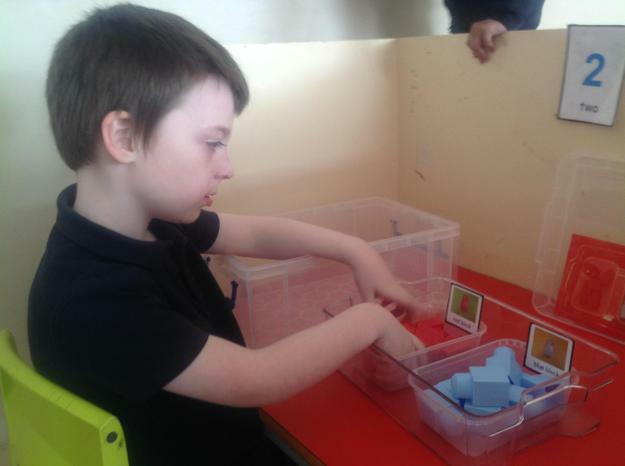 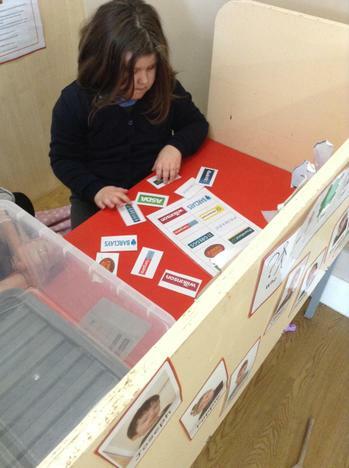 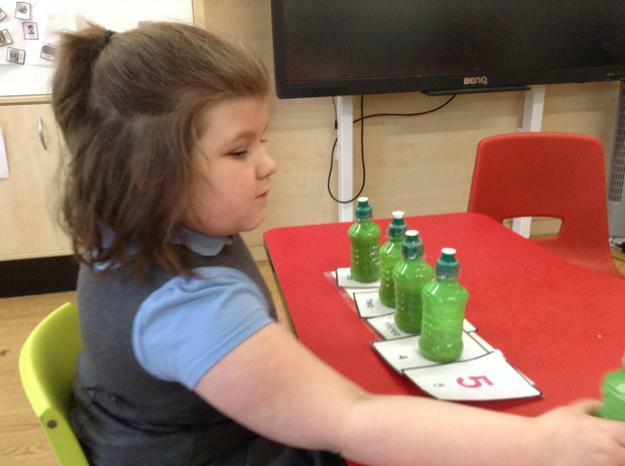 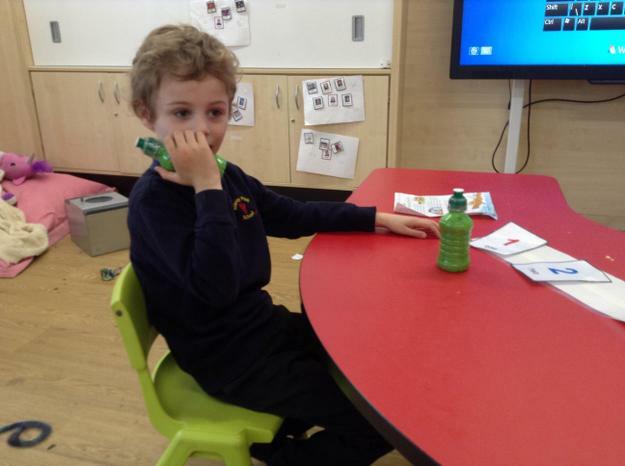 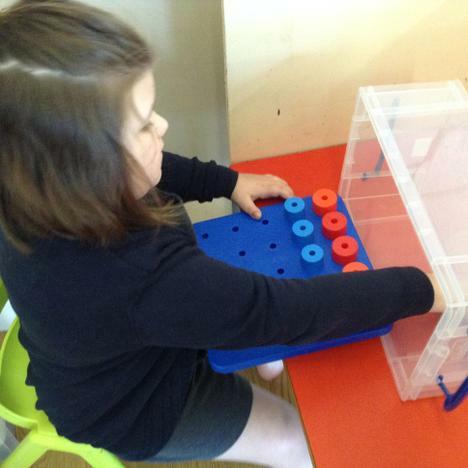 Lime class have continued to make progress during their numeracy workstation activities. 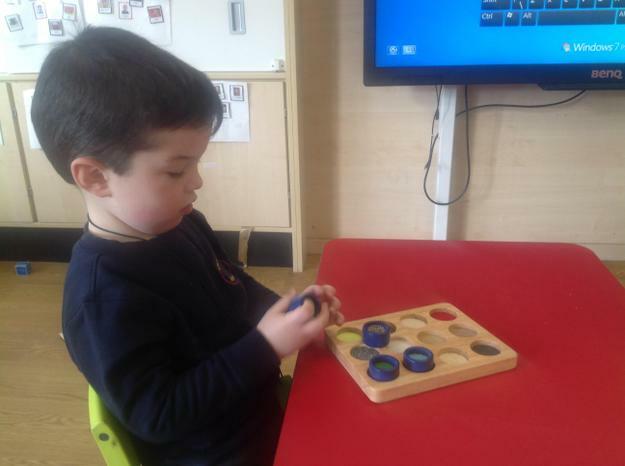 The children have really started to get used to the routine of the session and are becoming more independent within all aspects of the task. 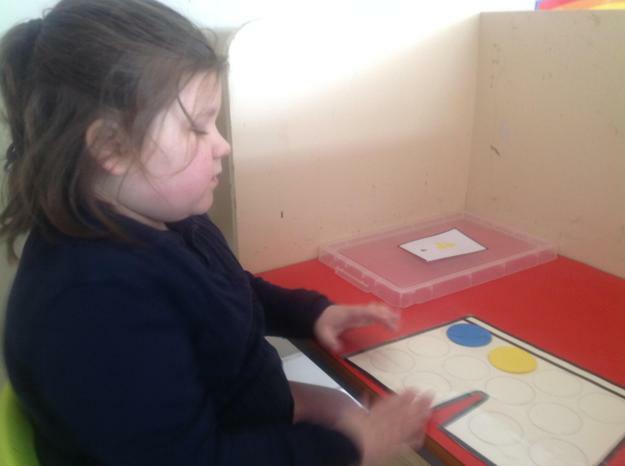 We have been working on our understanding of shape and space using jigsaw puzzles and shape sorters and completing simple matching activities. 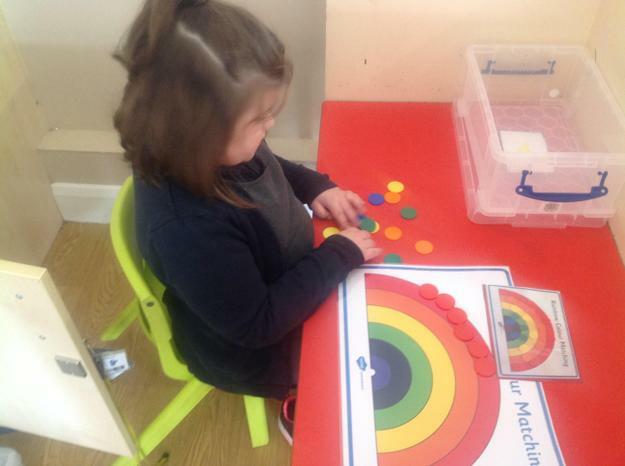 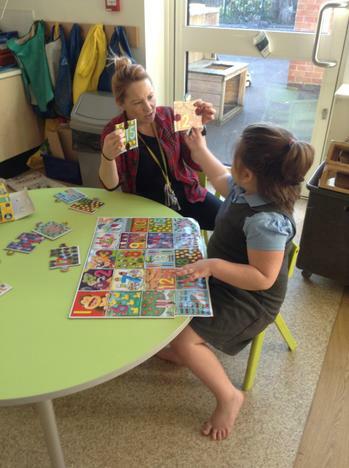 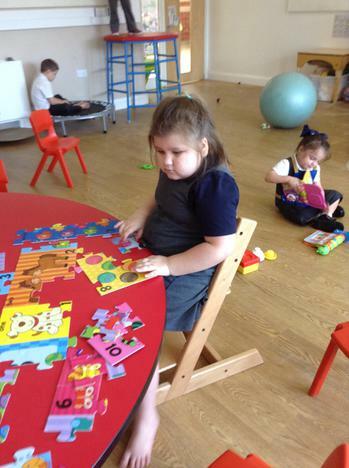 Some of the children have also been working on their understanding of number using jigsaws and counting songs through the little big maths programme. 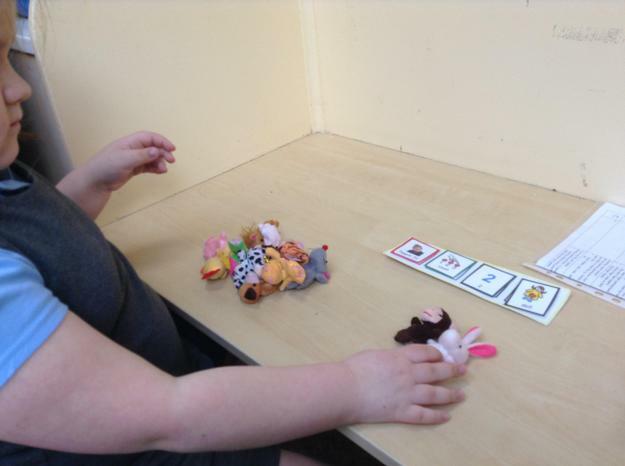 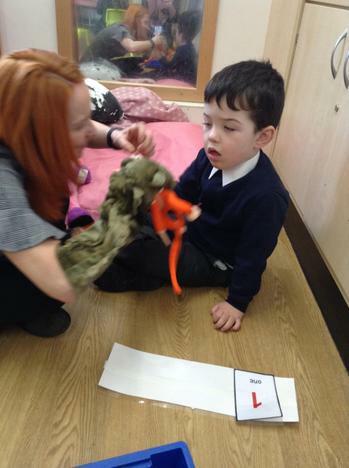 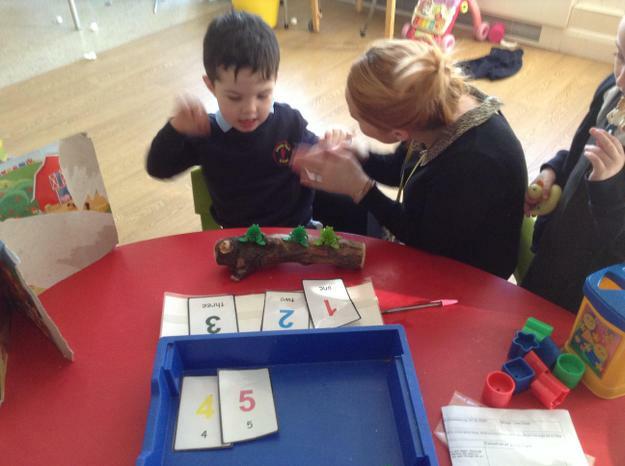 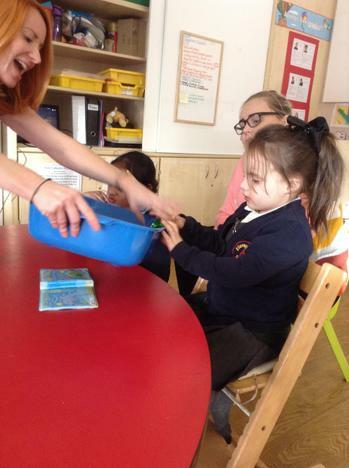 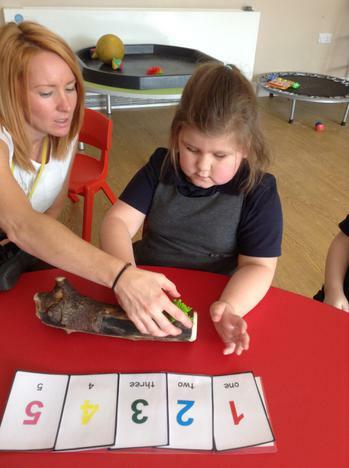 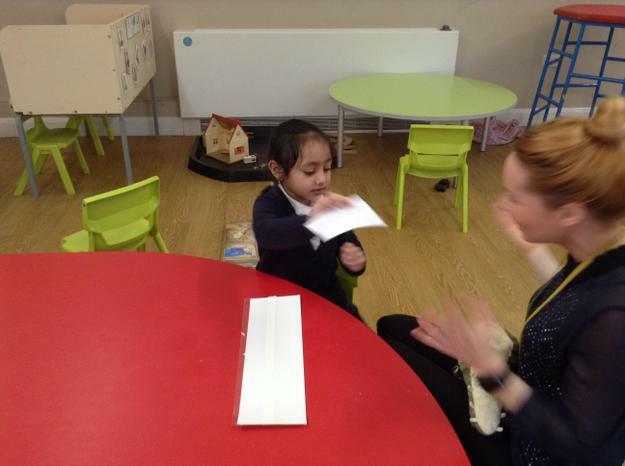 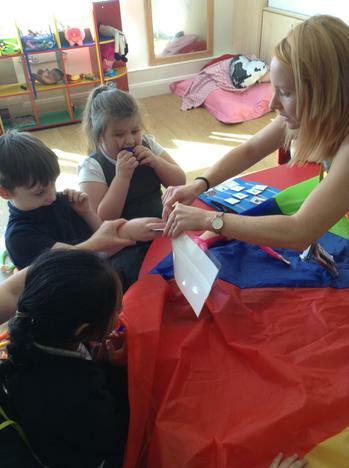 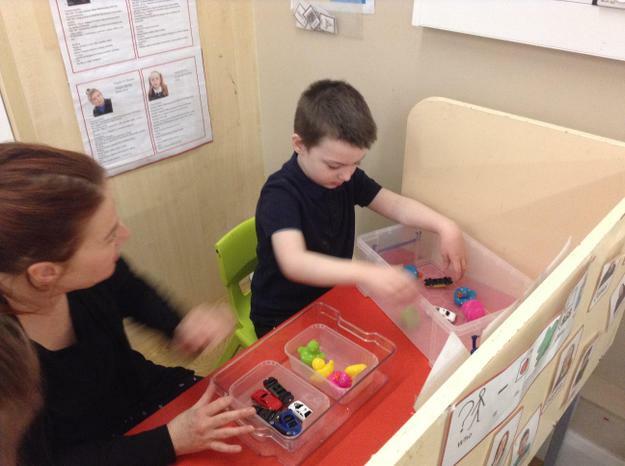 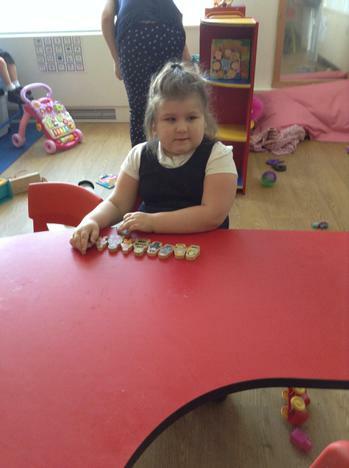 The children really enjoy our group number rhymes counting session and all of them respond really well to the counting and removing the numerals and interacting with the sensory props at the right time. 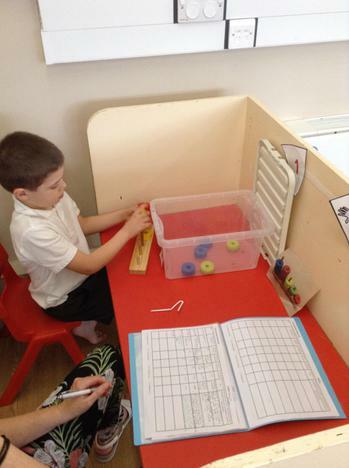 Maths activities are completed as workstation tasks in Lime class. 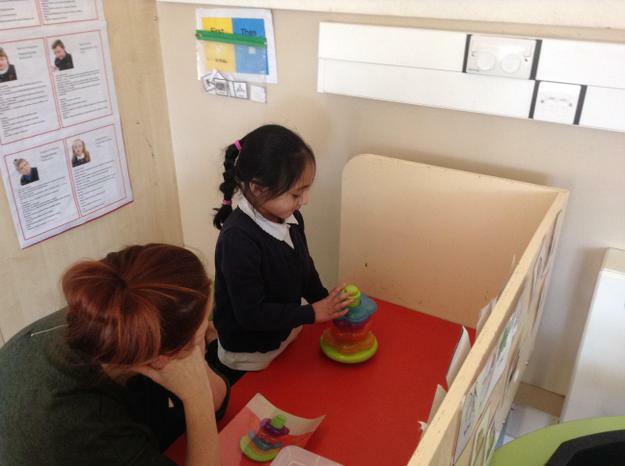 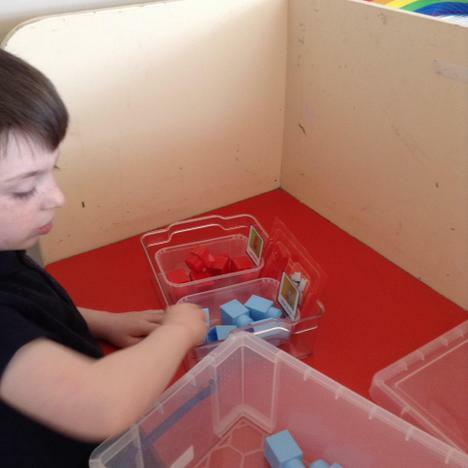 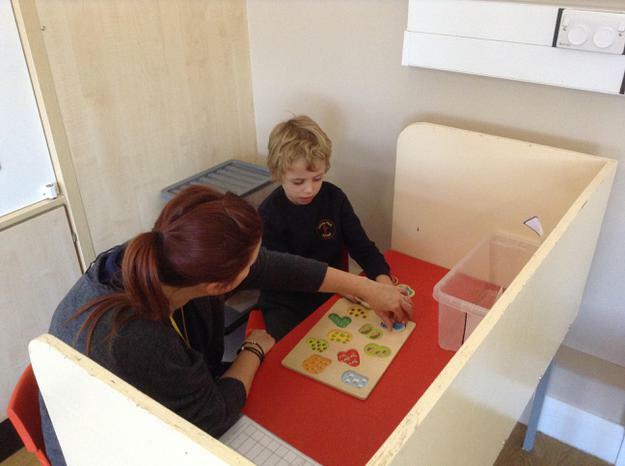 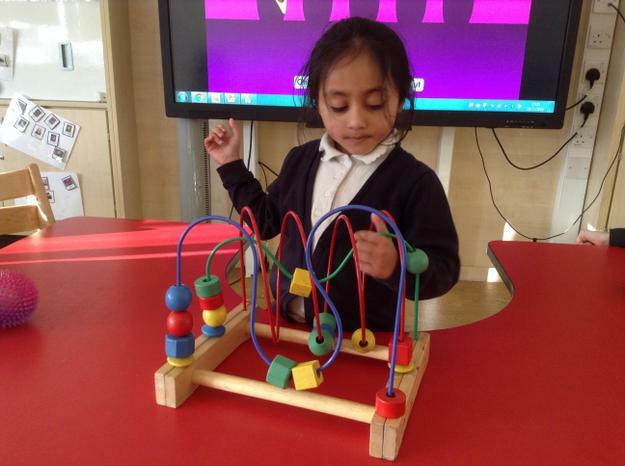 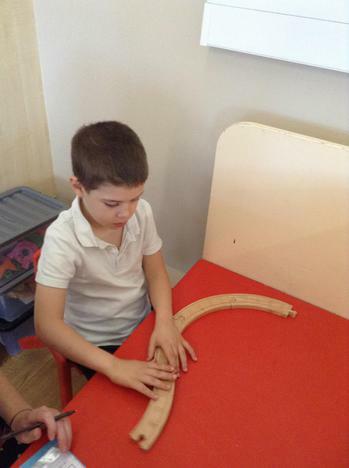 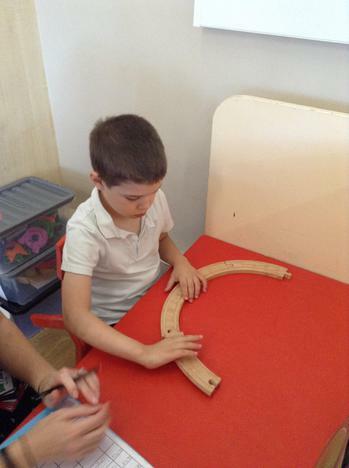 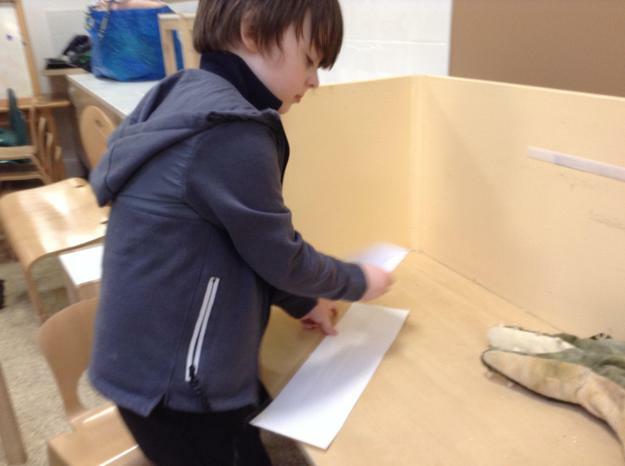 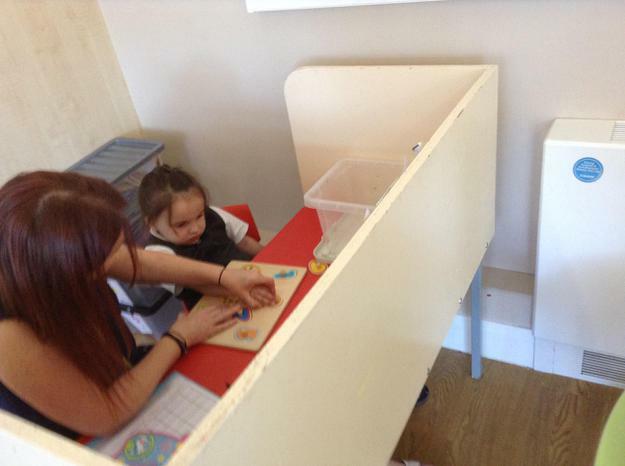 The children are encouraged to complete mathematical activities such as sorting, matching, ordering or fine motor based activities that develop their sense of shape, space and measure within the structured environment of the workstation. 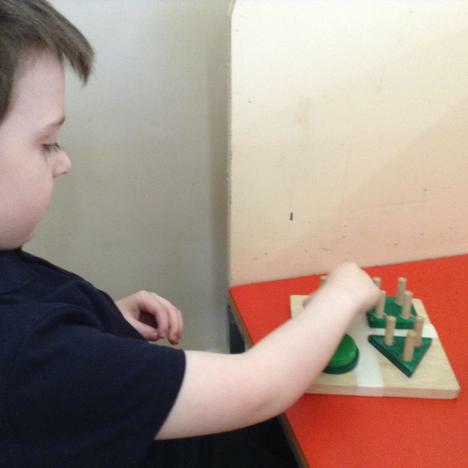 The children are beginning to get used to this routine and are starting to develop their ability to work independently on these tasks. 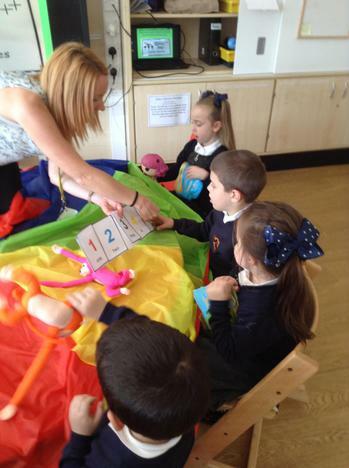 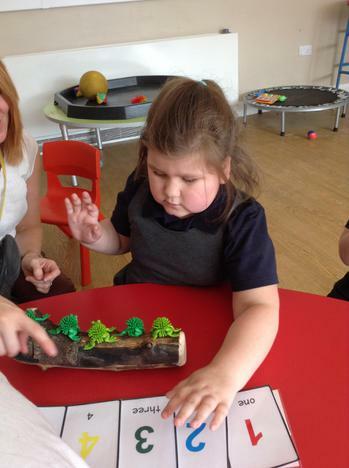 Lime class also enjoy a weekly group counting songs session which includes the use of sensory props to support the rhyme. 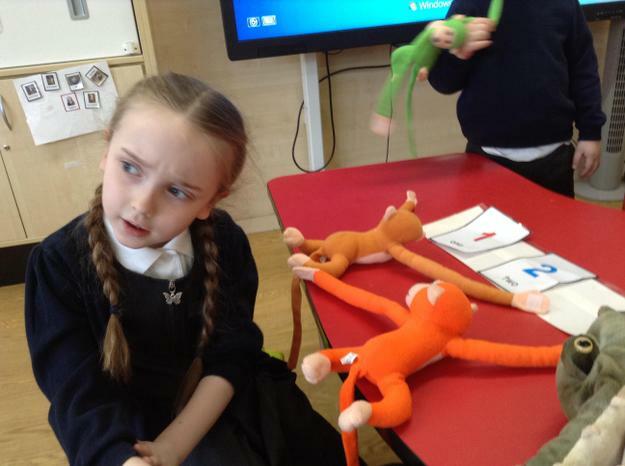 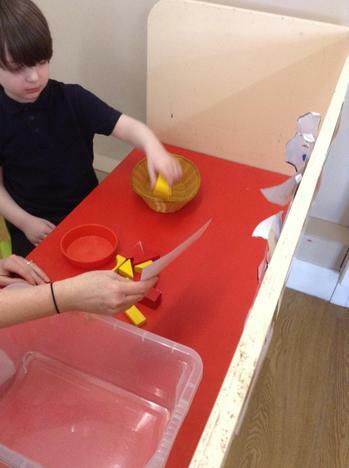 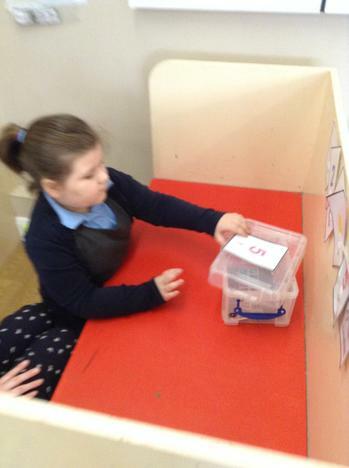 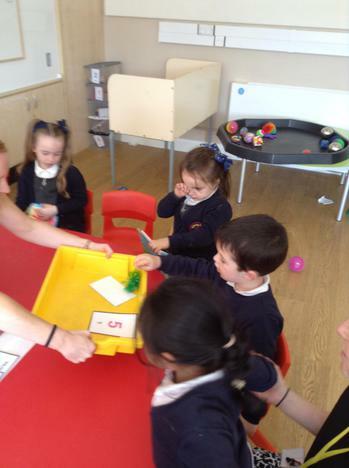 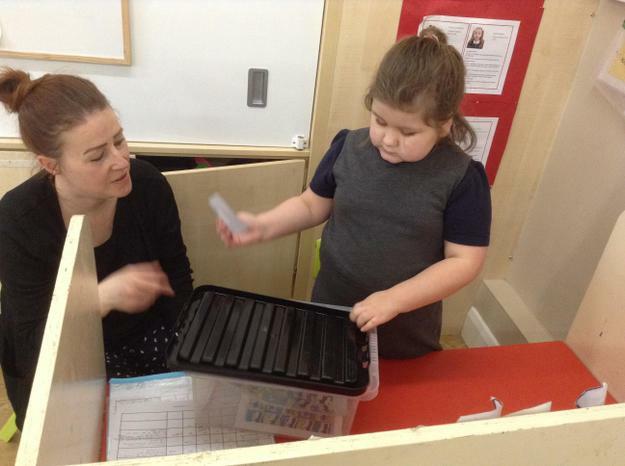 The children are encouraged to join in with the props and the counting.